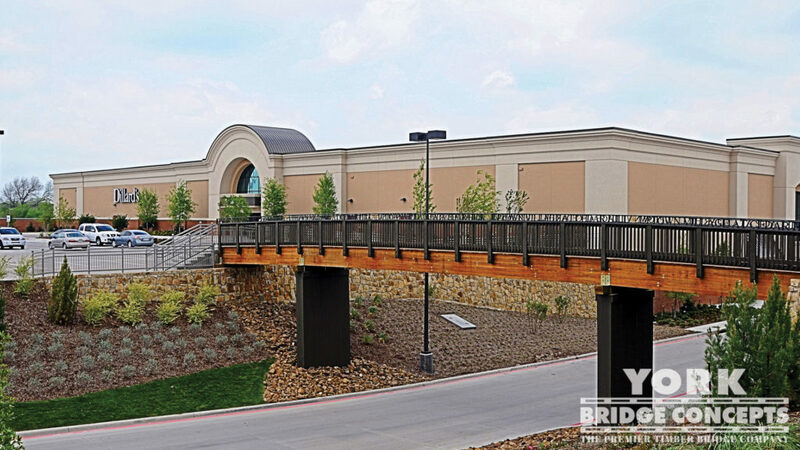 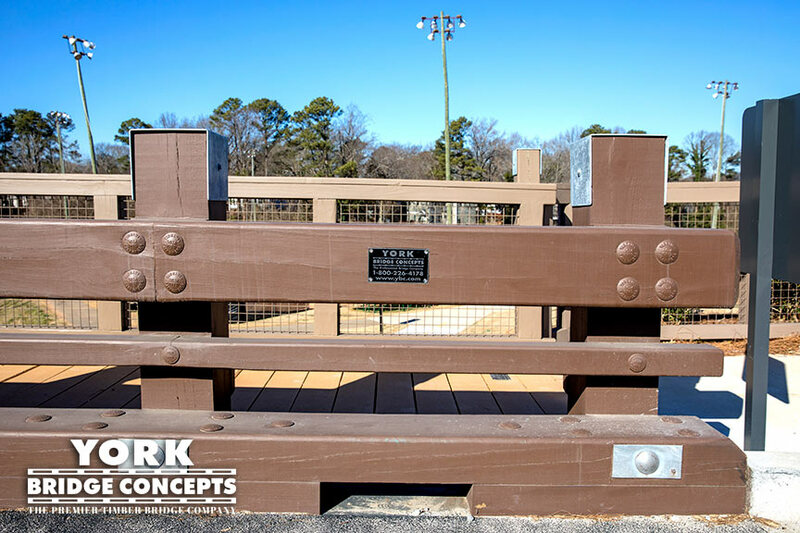 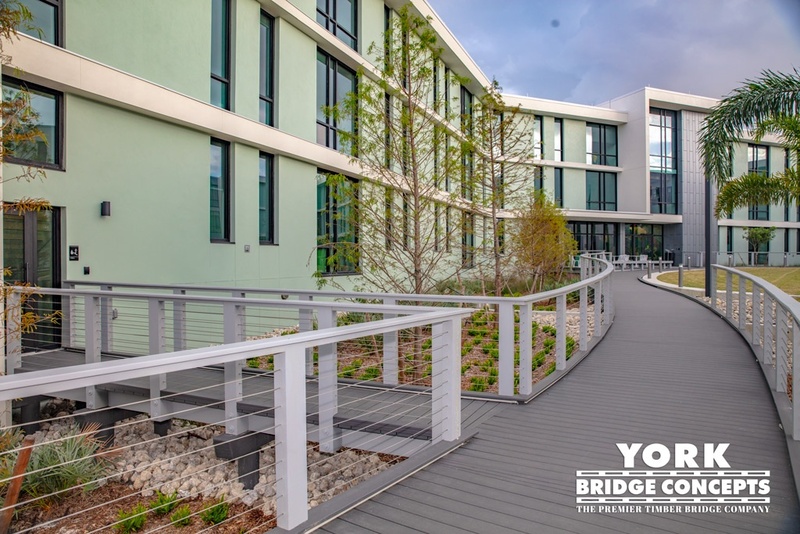 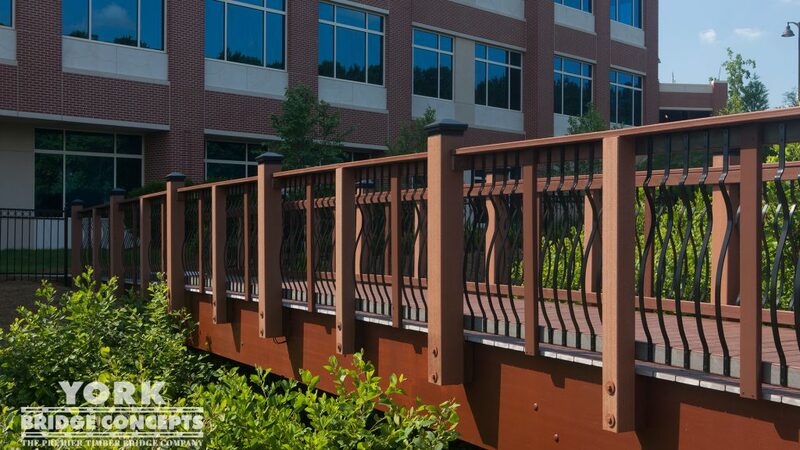 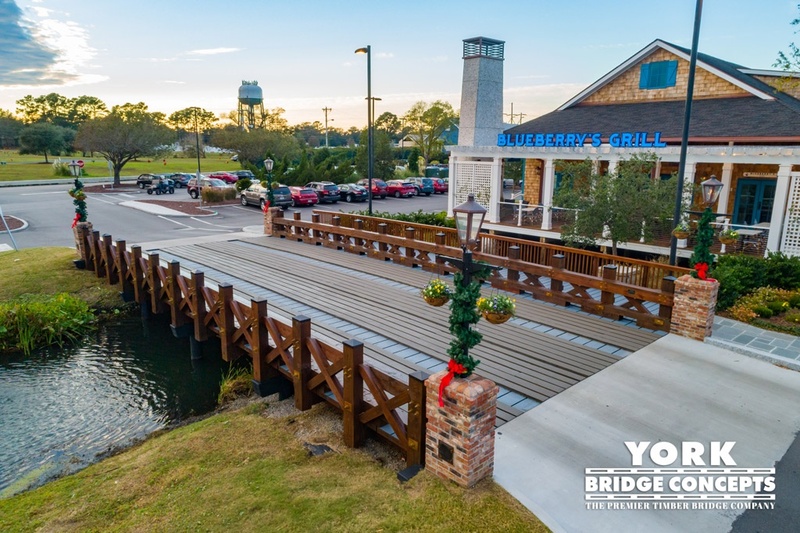 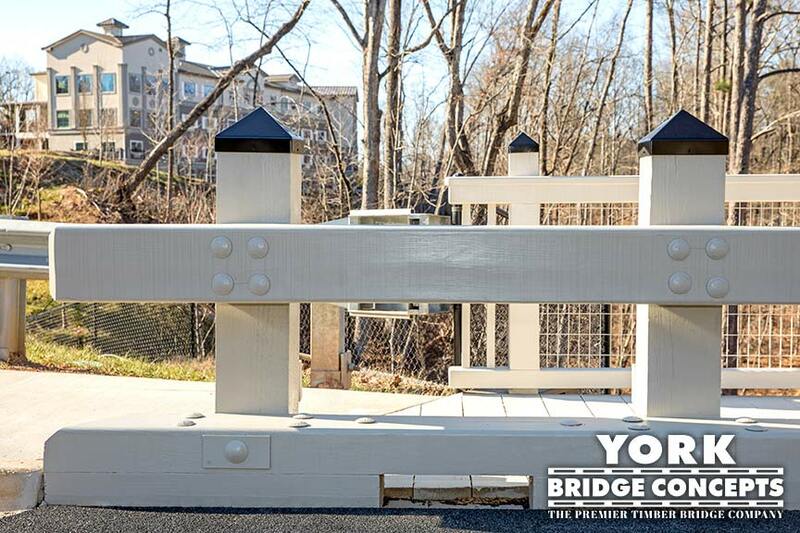 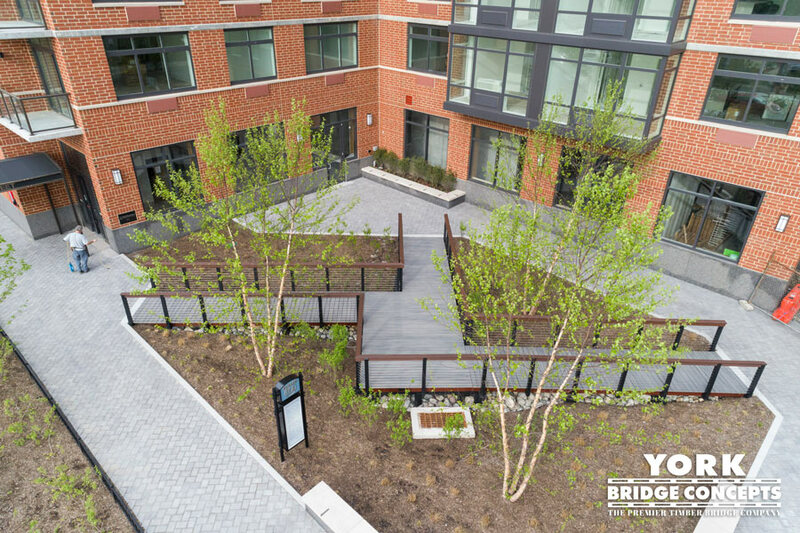 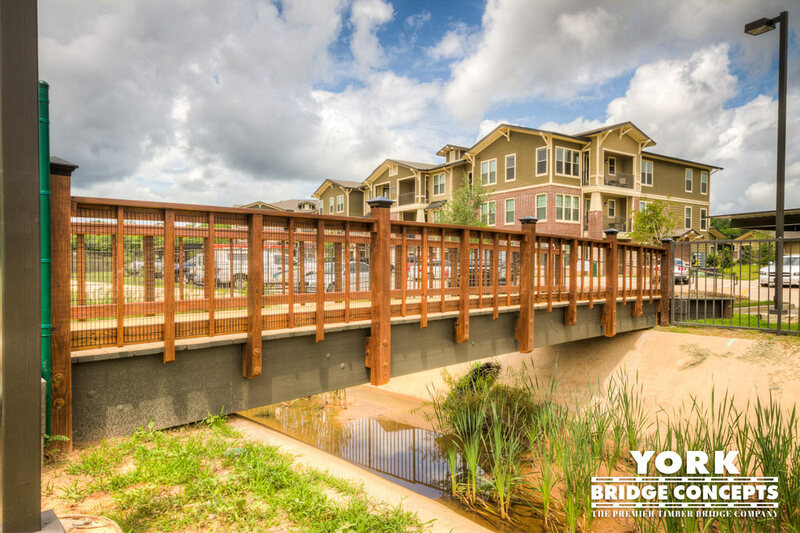 YBC teamed with the charming mixed-use development of Town Village to establish a unique main street connection between residents and its bustling Town Center at Cobb Mall. 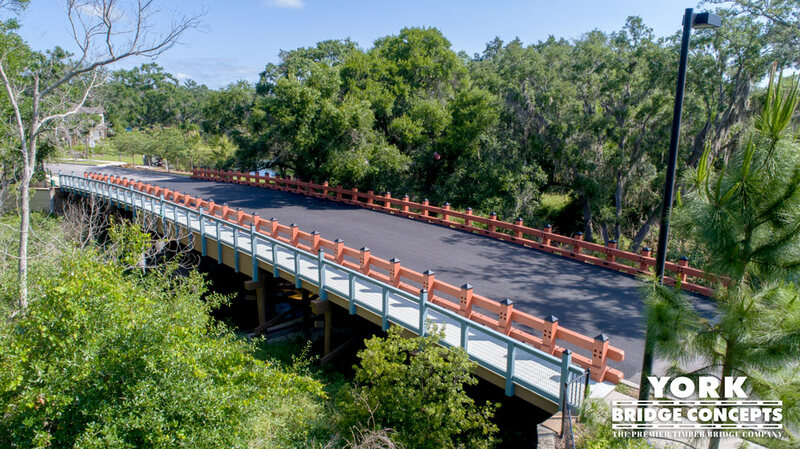 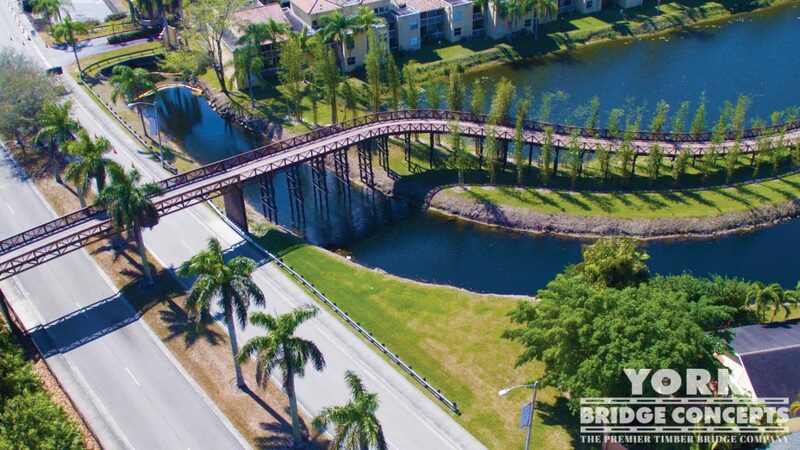 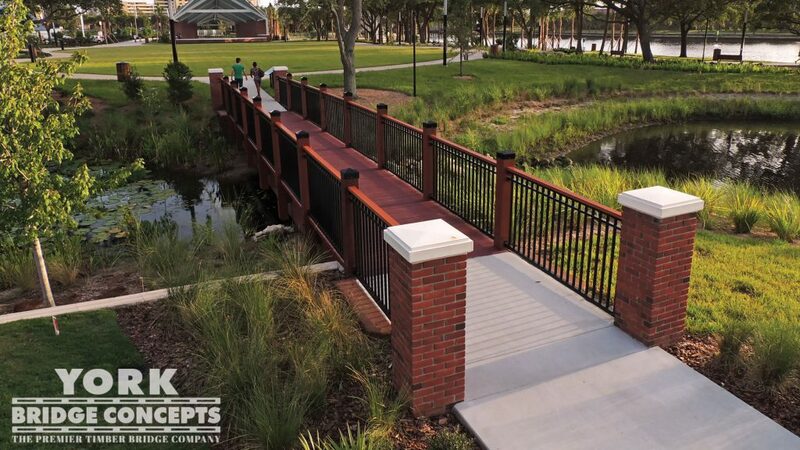 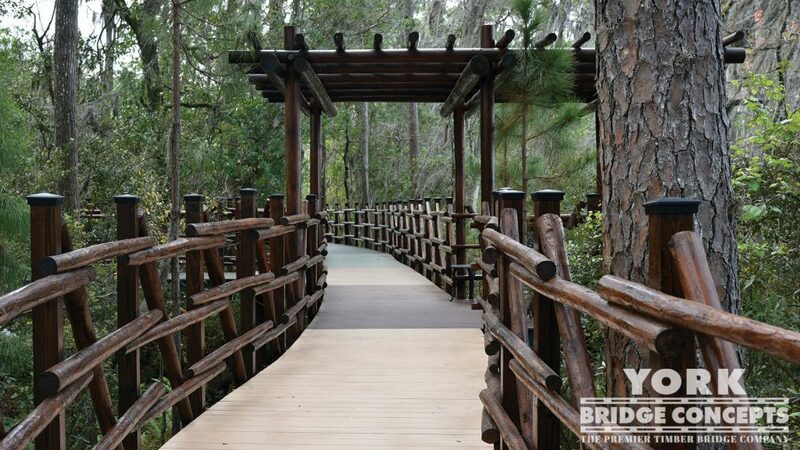 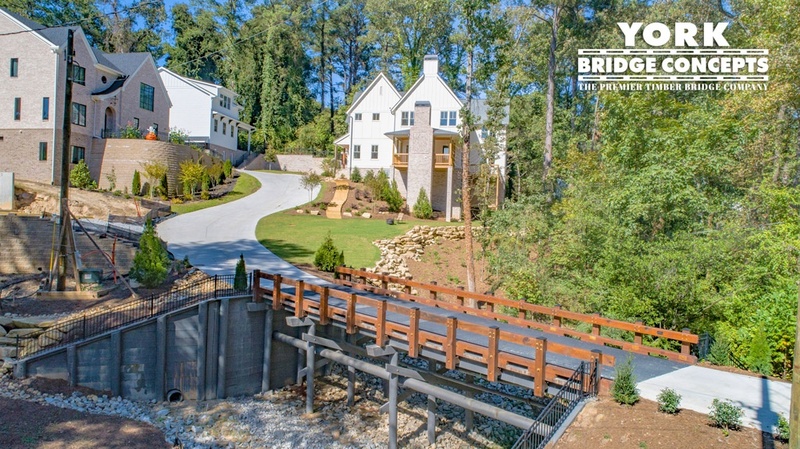 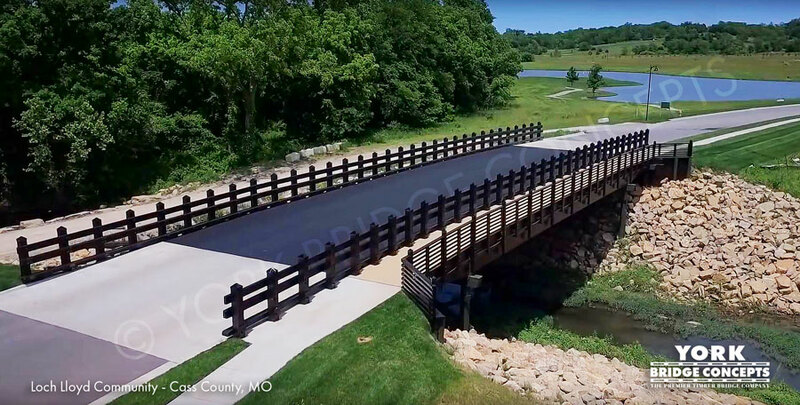 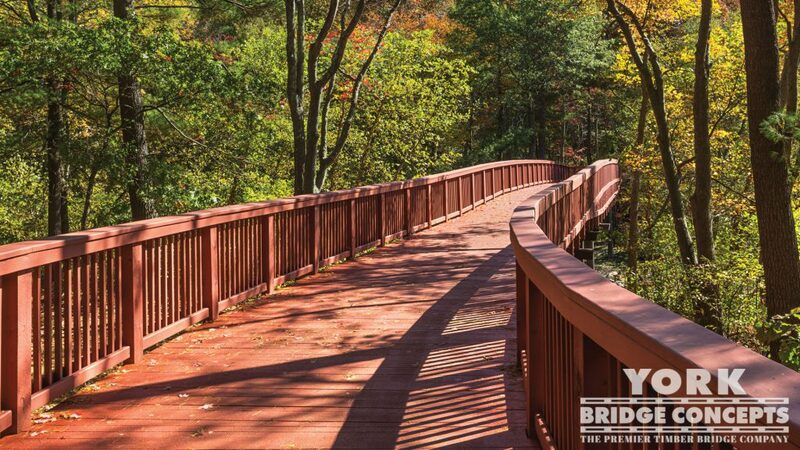 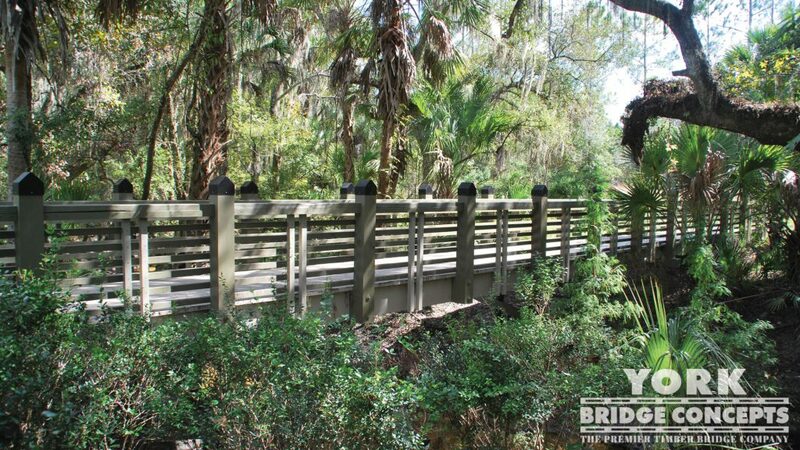 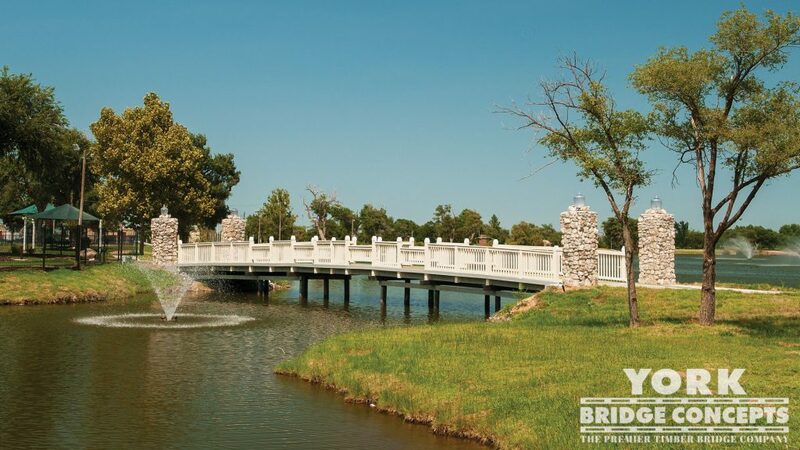 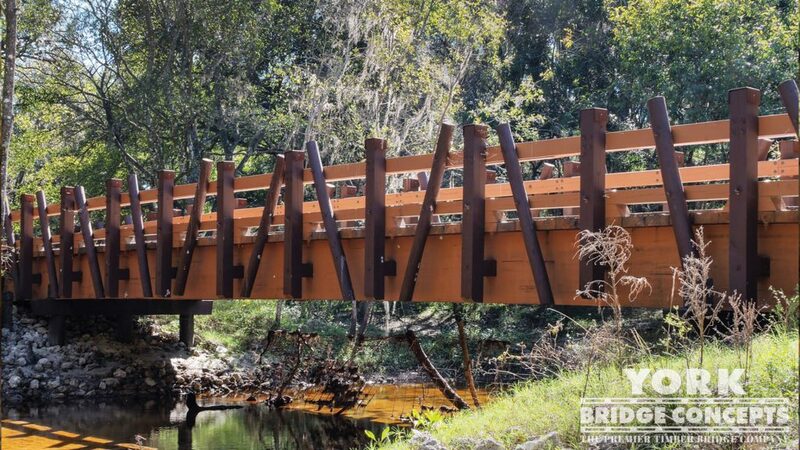 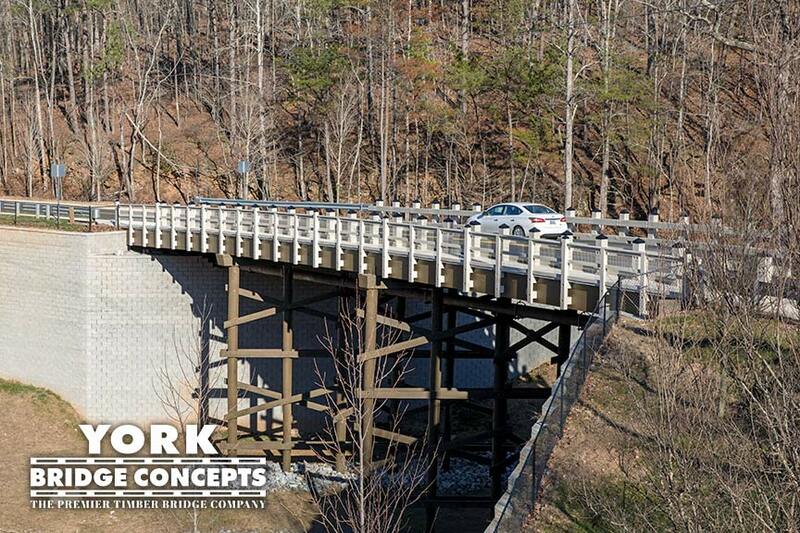 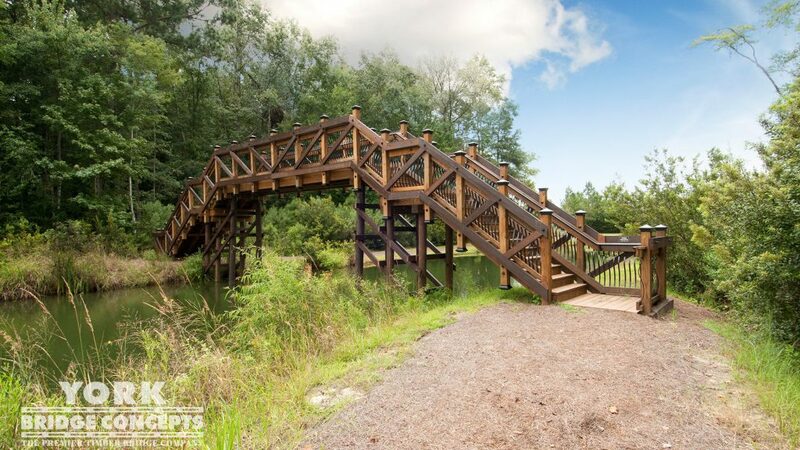 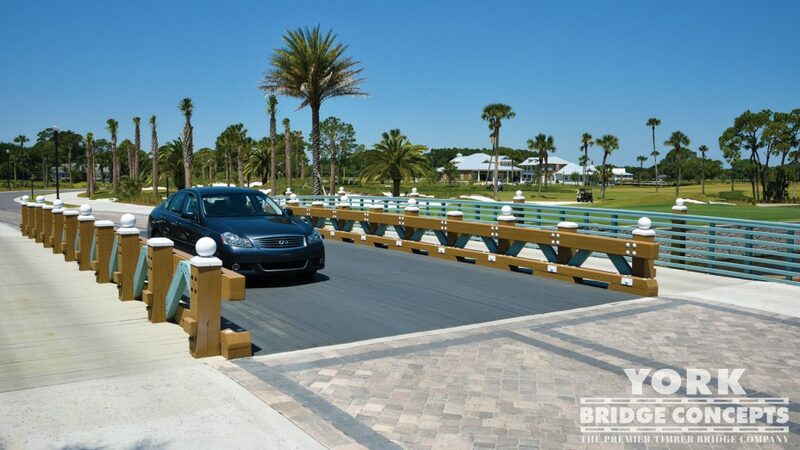 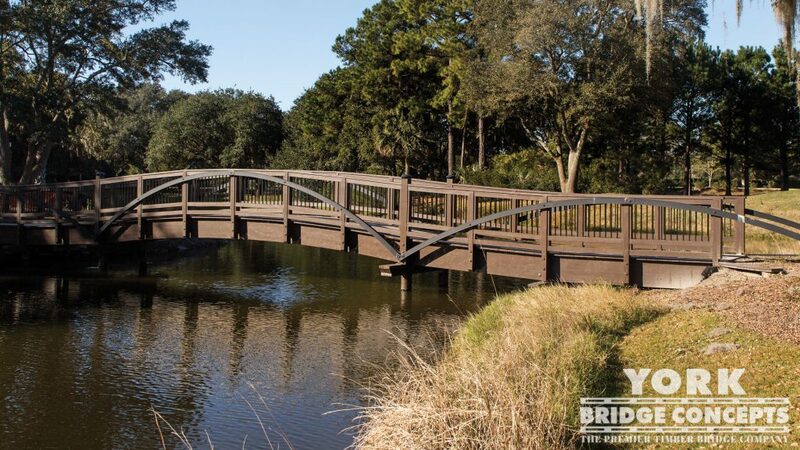 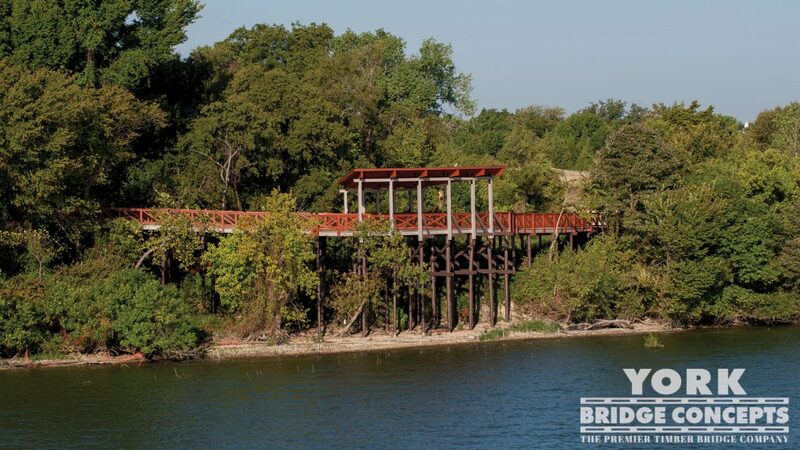 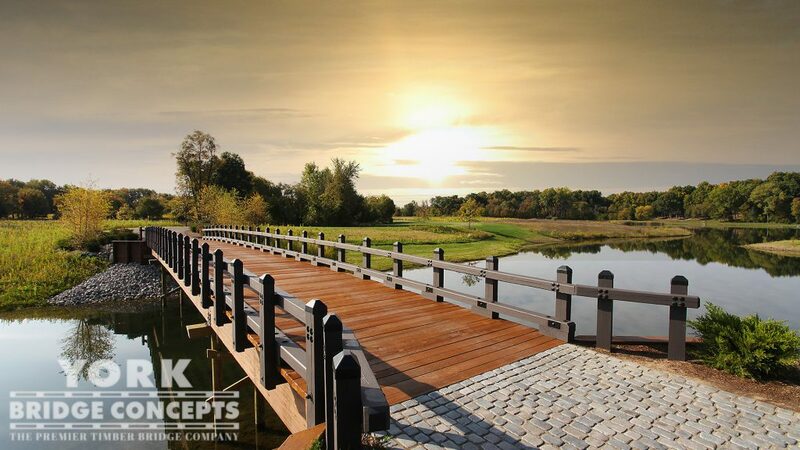 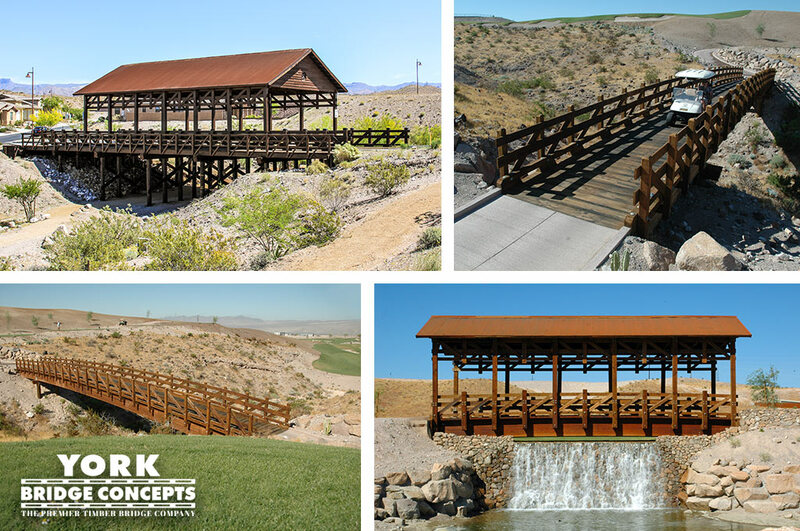 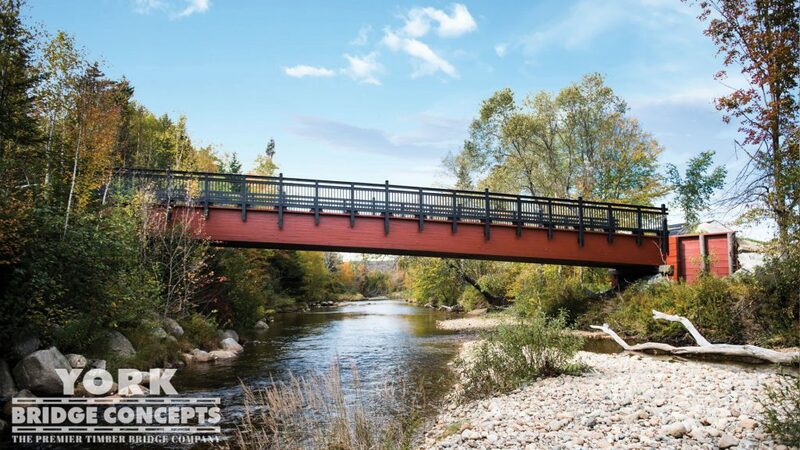 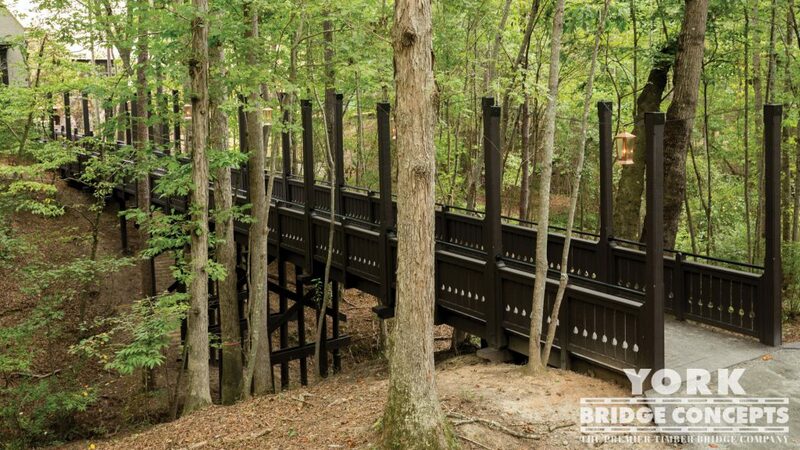 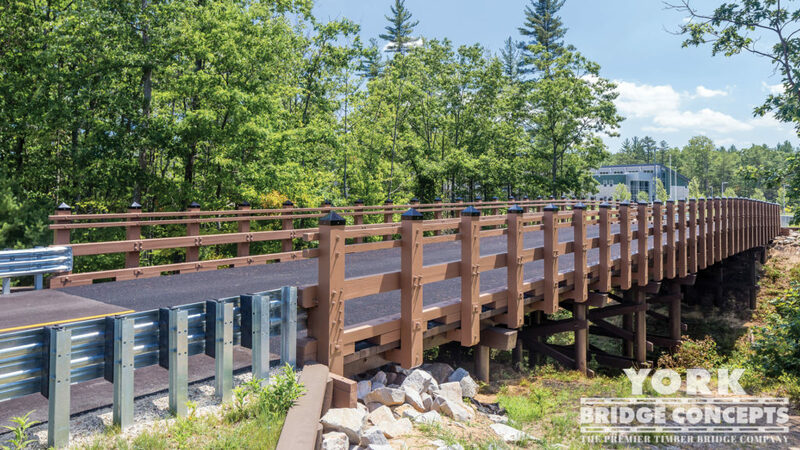 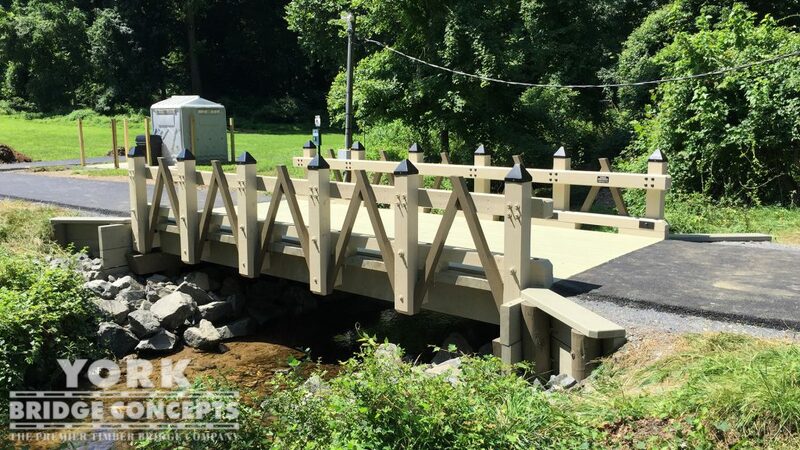 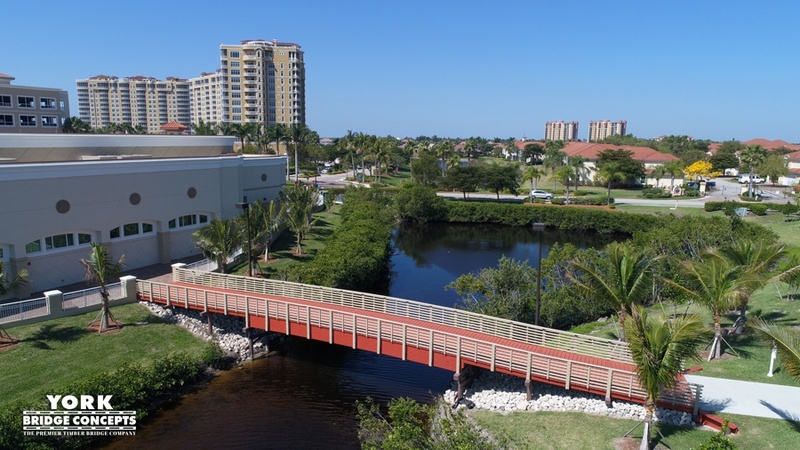 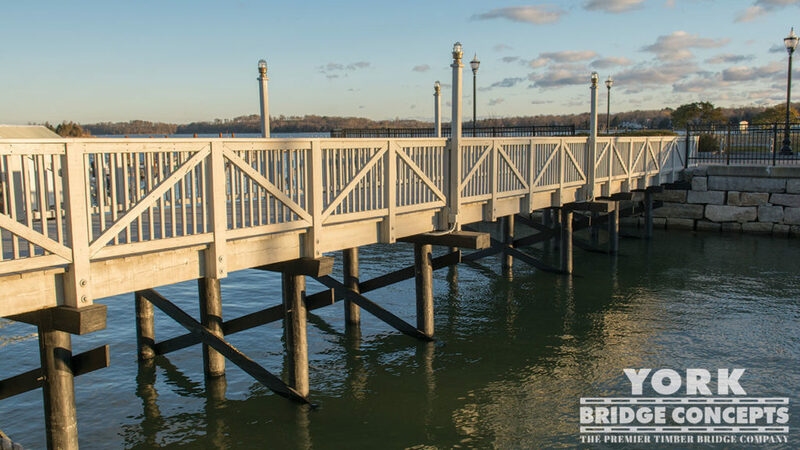 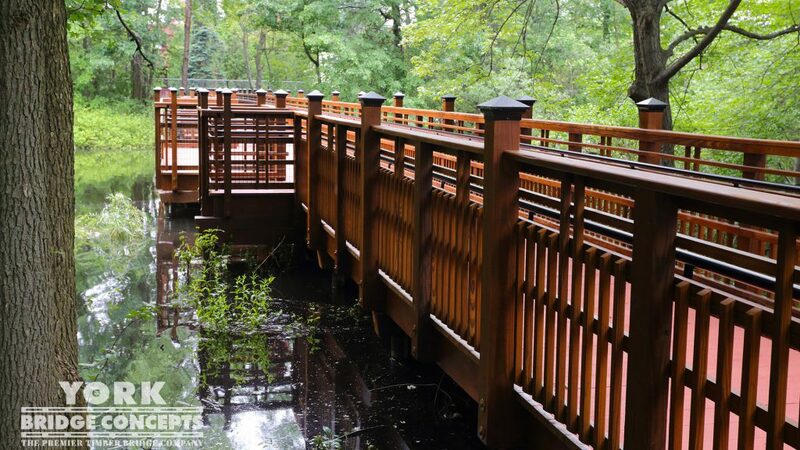 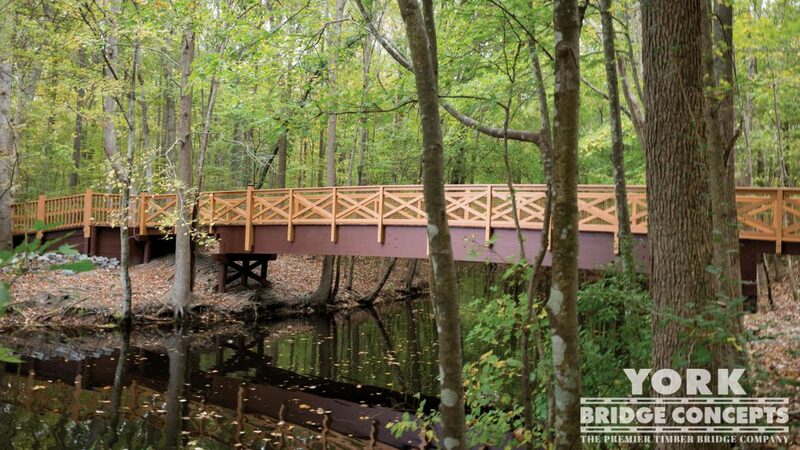 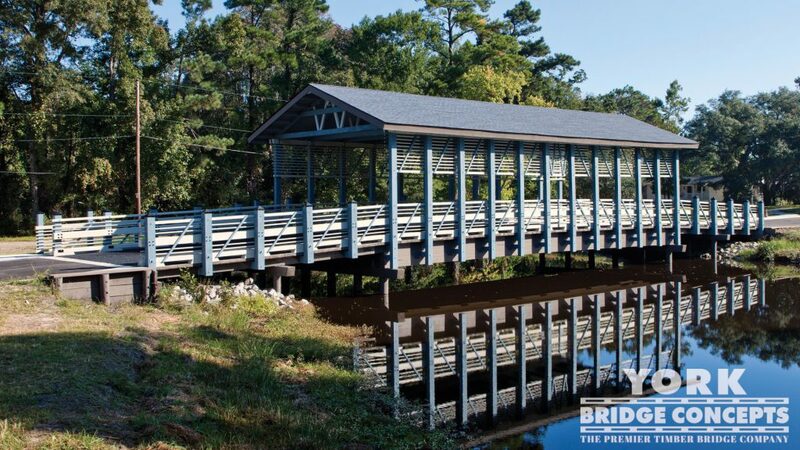 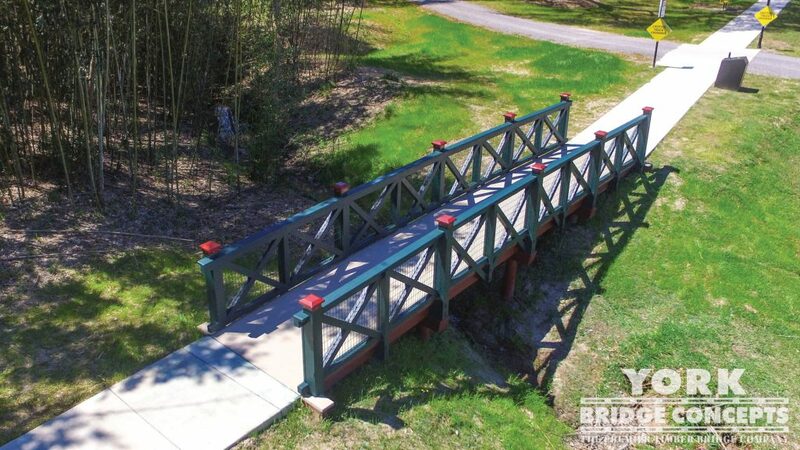 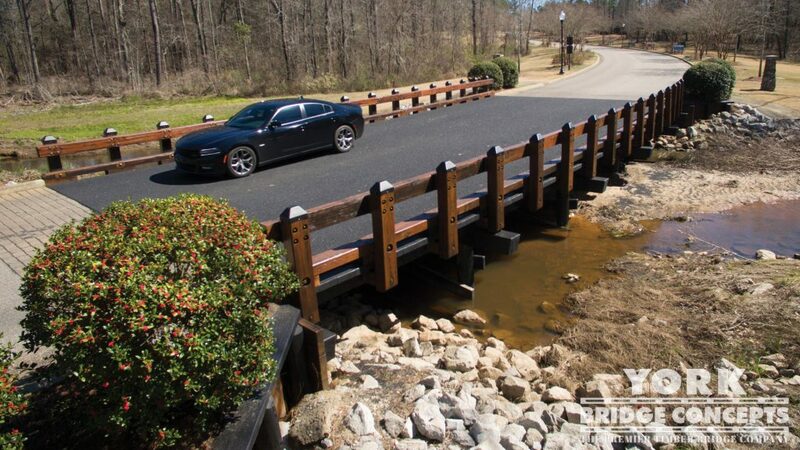 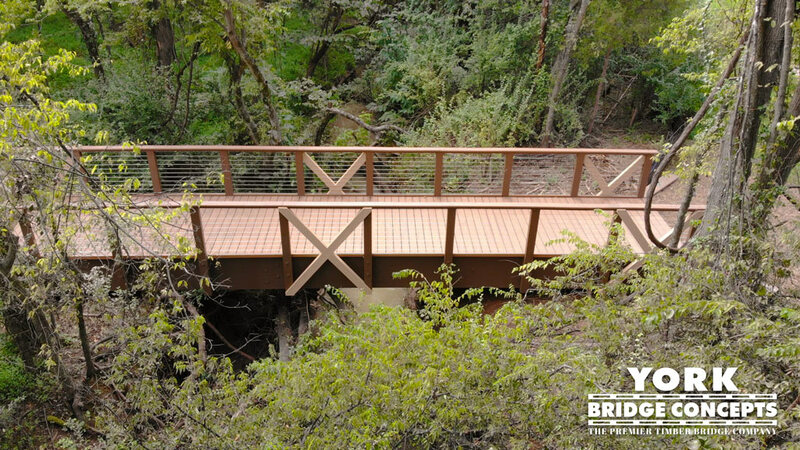 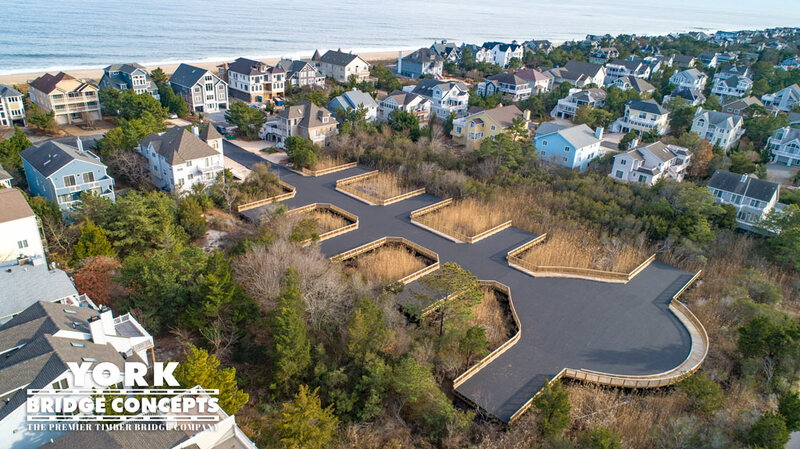 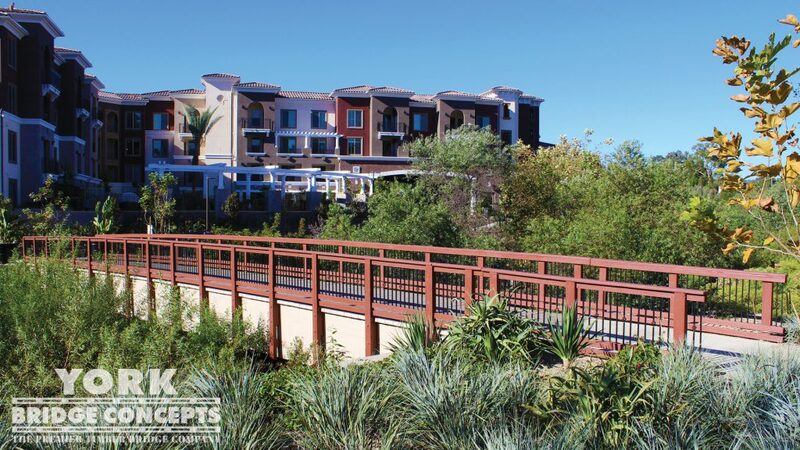 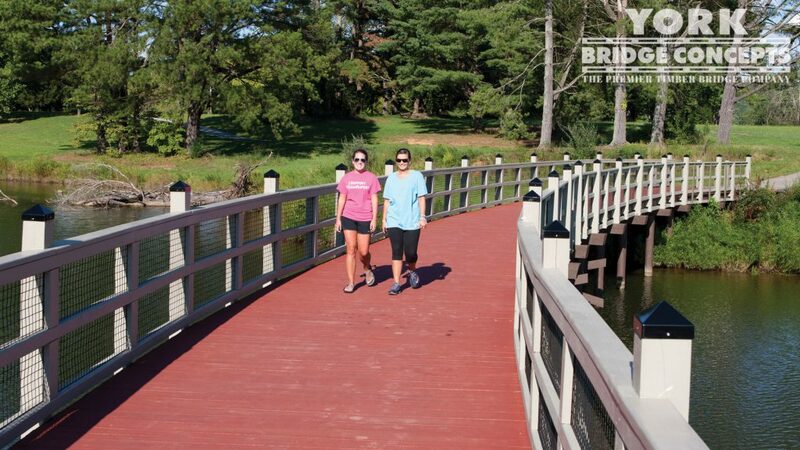 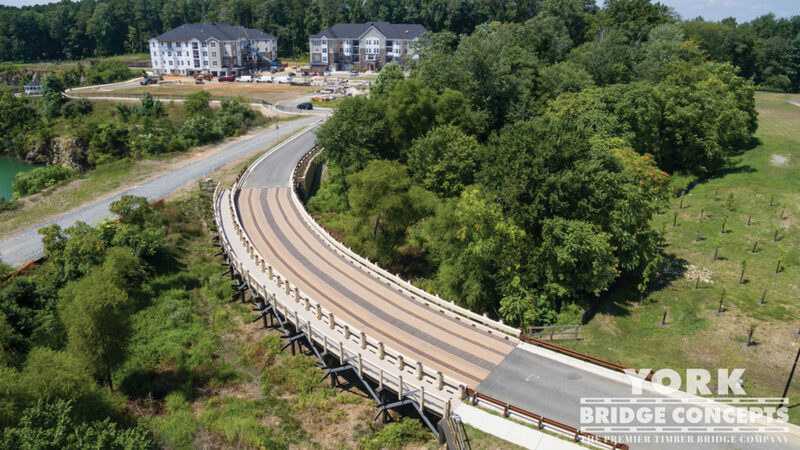 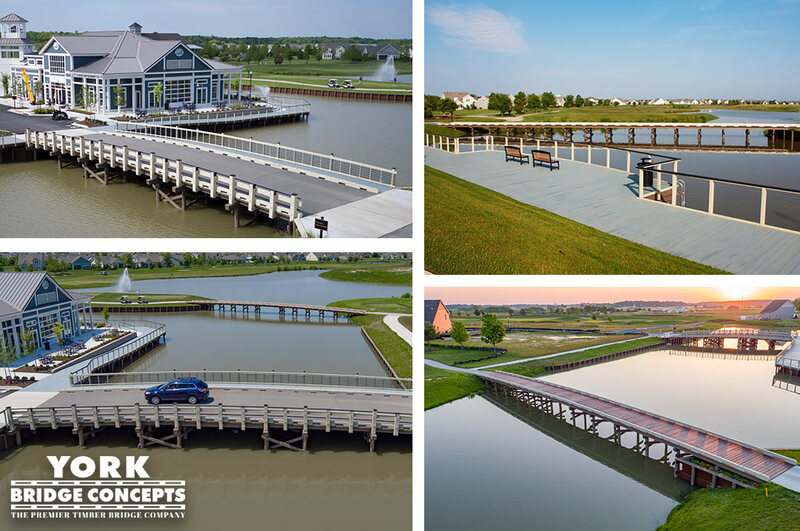 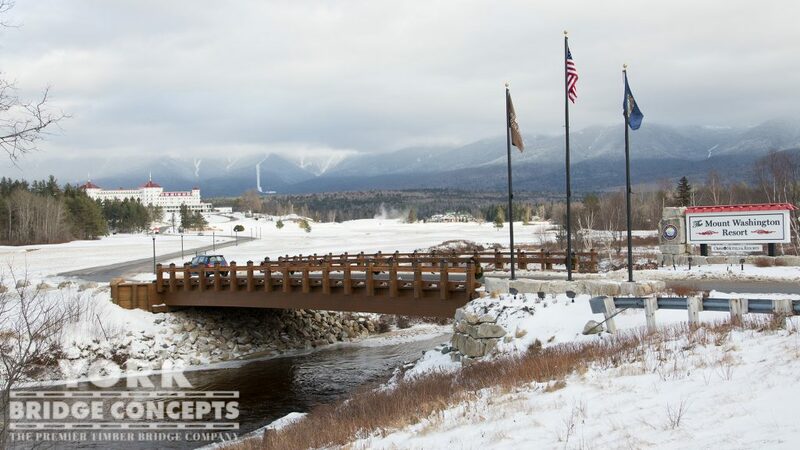 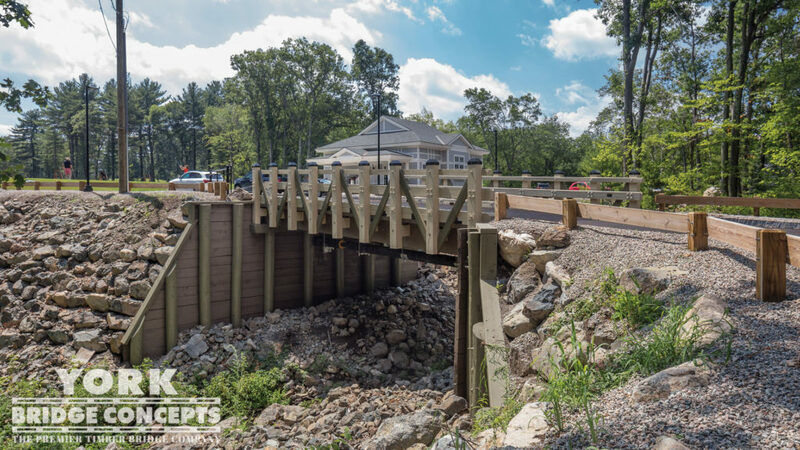 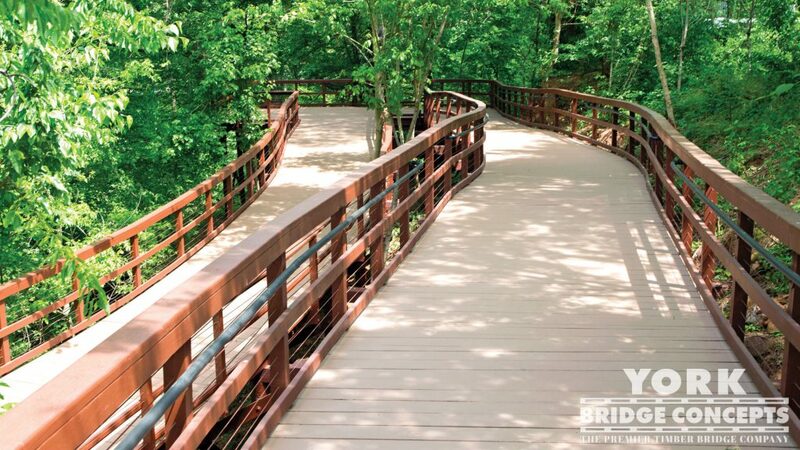 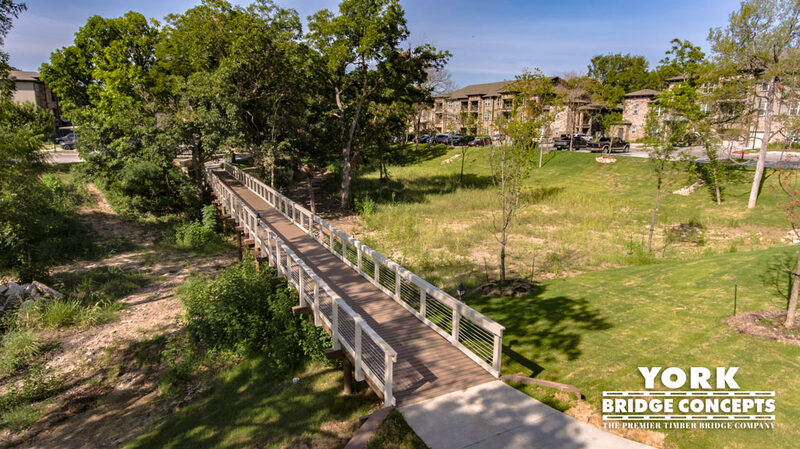 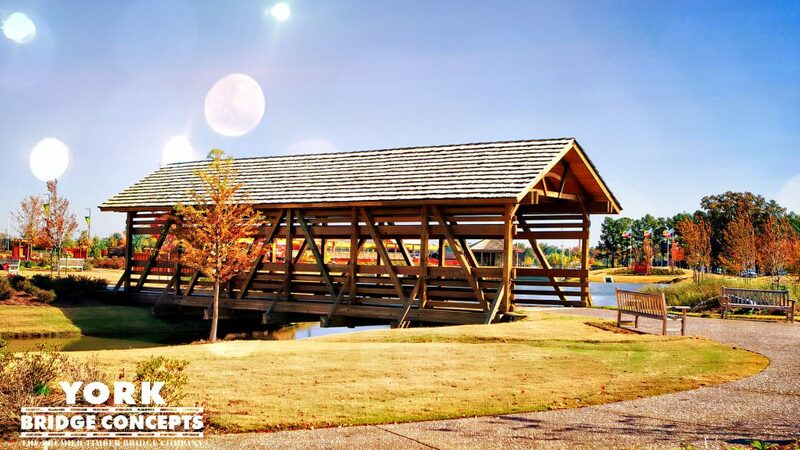 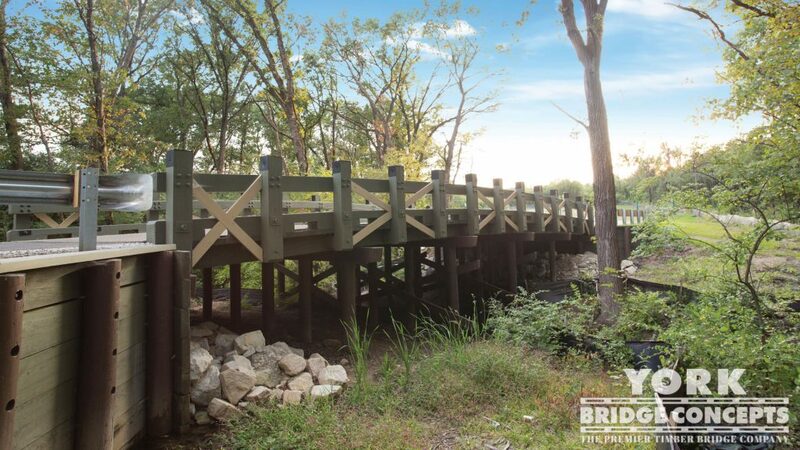 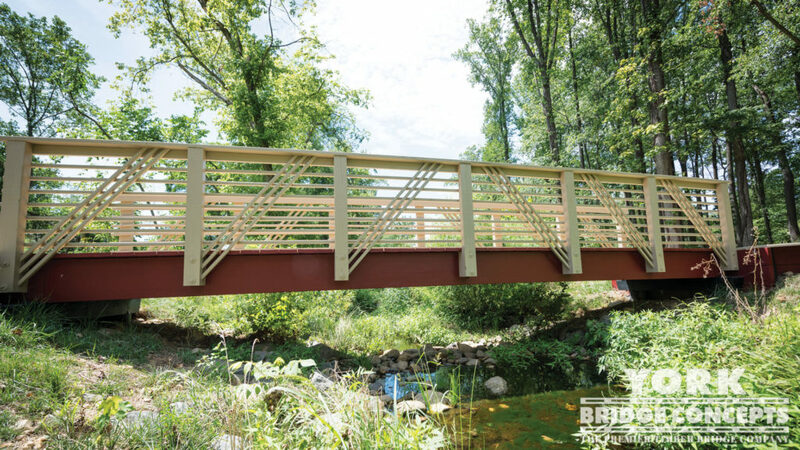 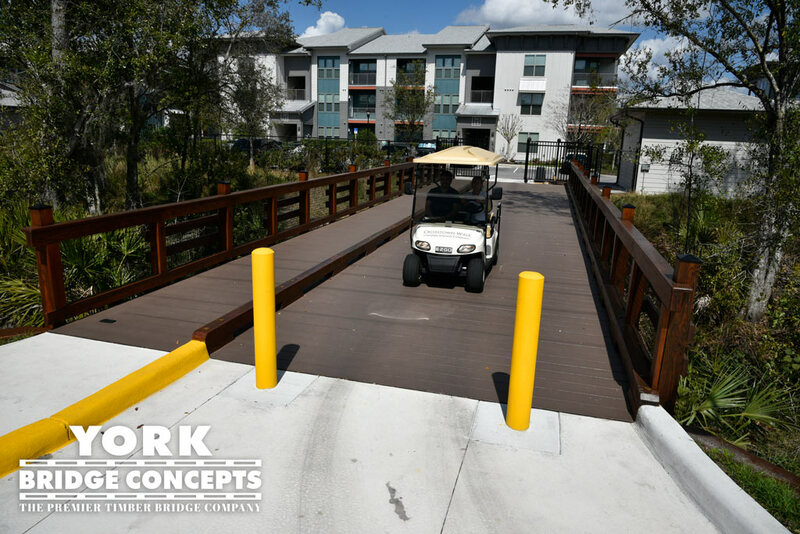 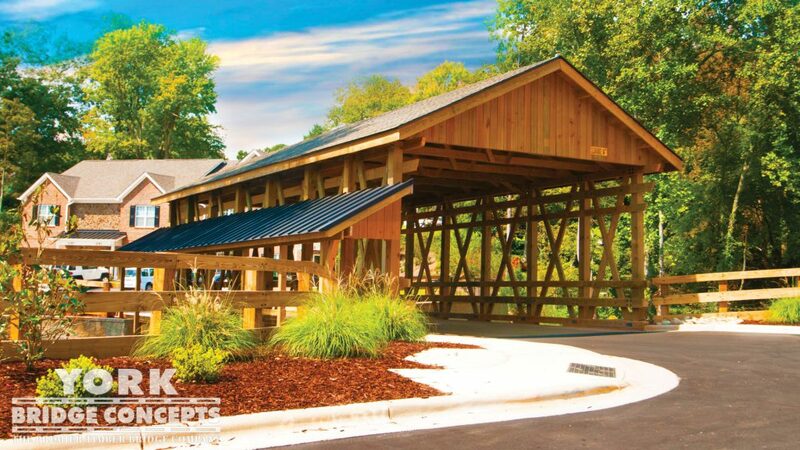 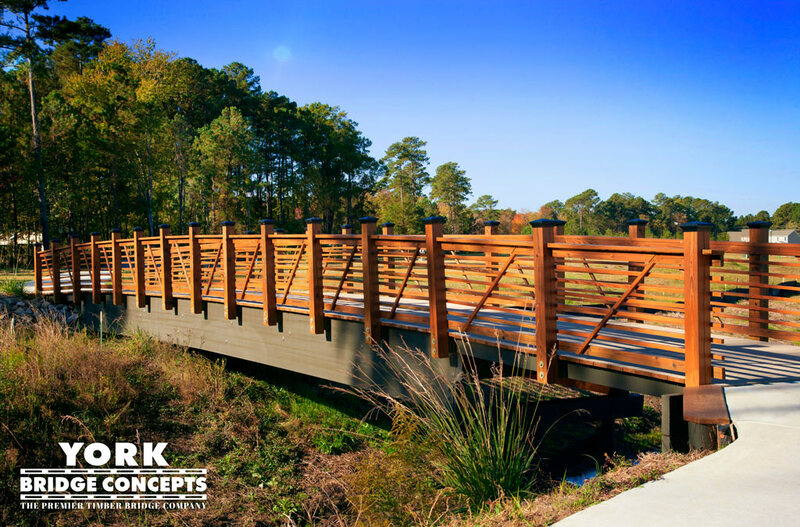 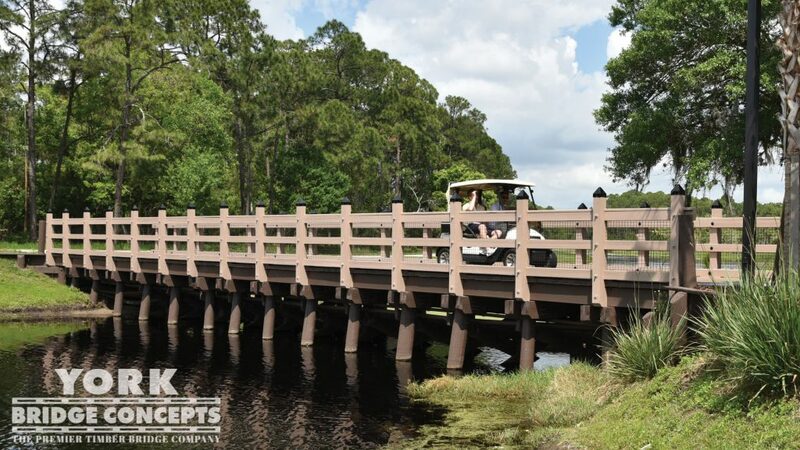 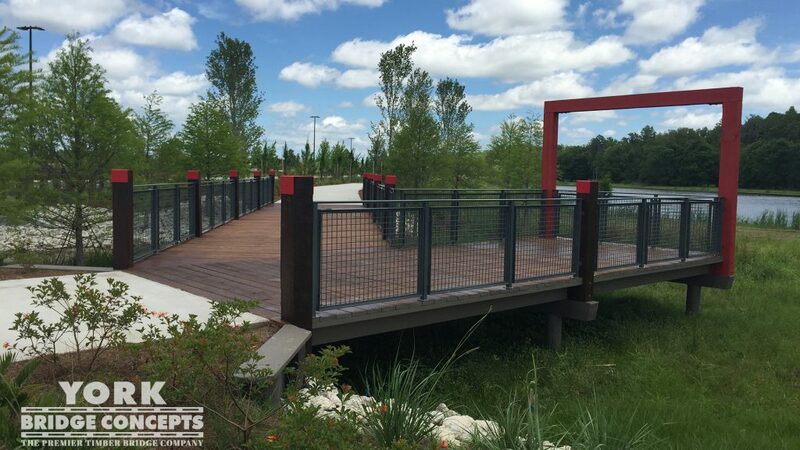 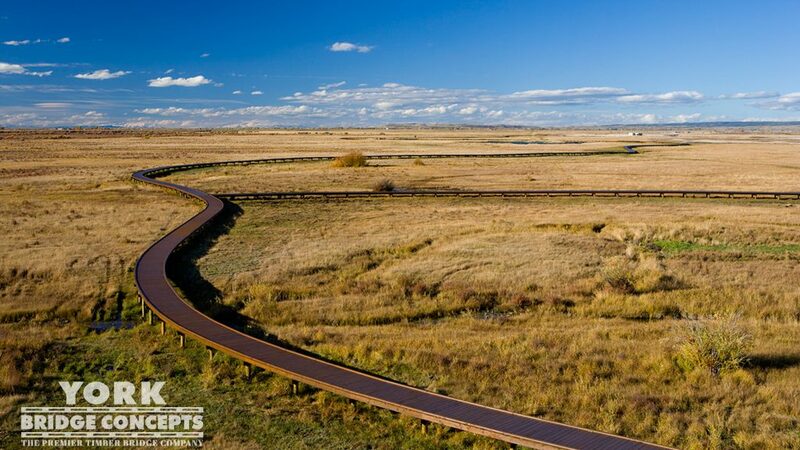 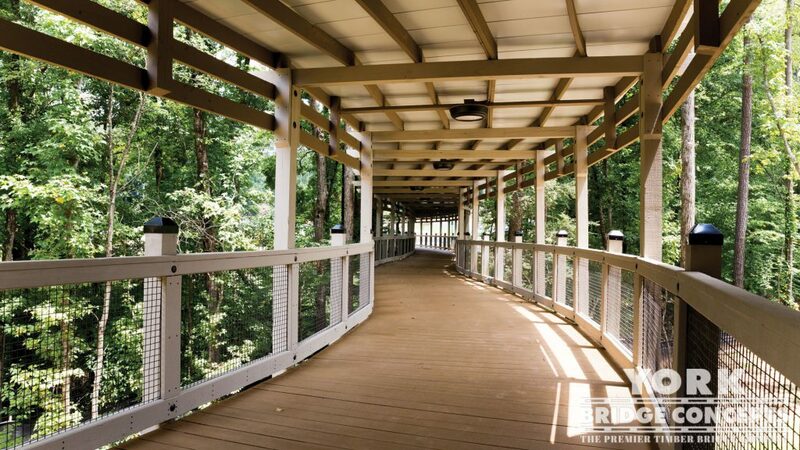 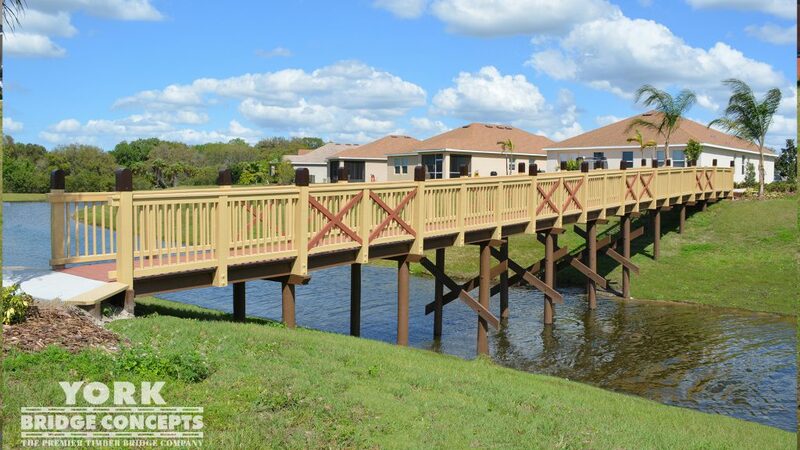 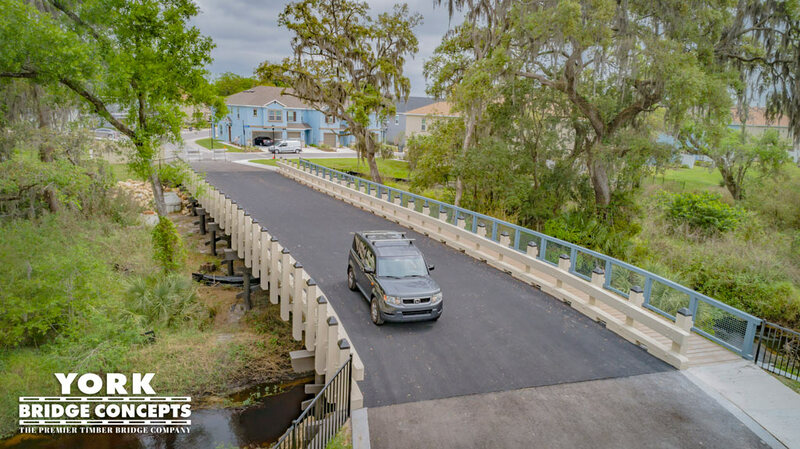 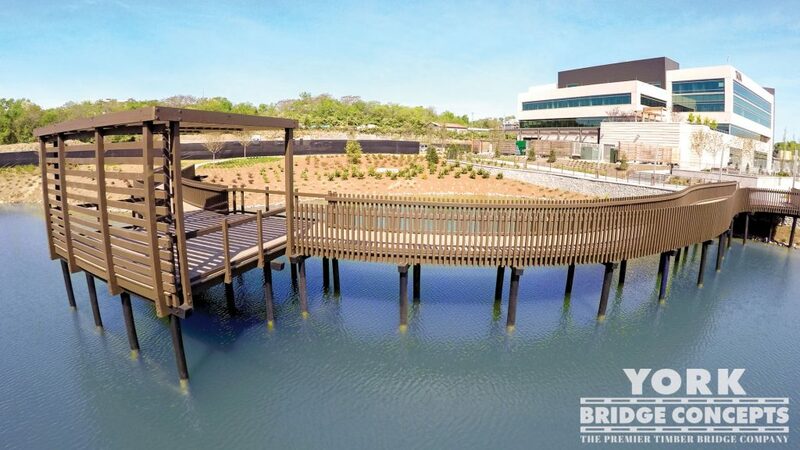 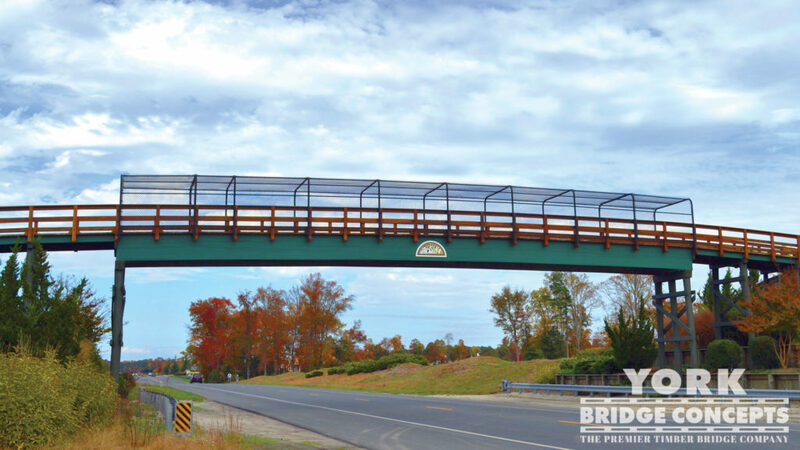 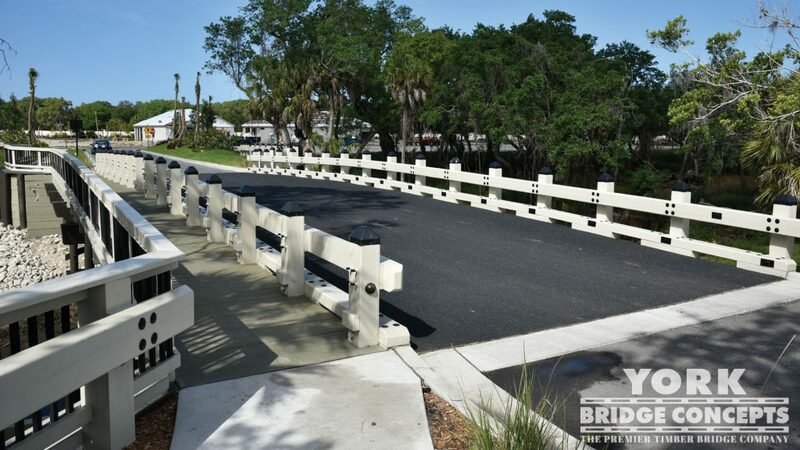 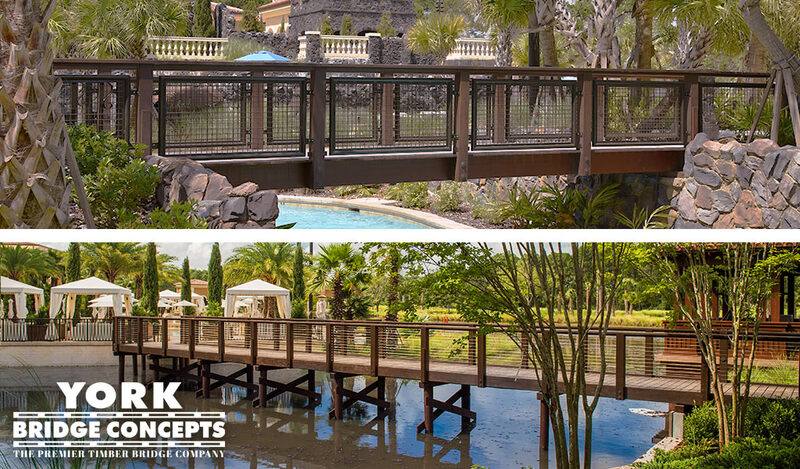 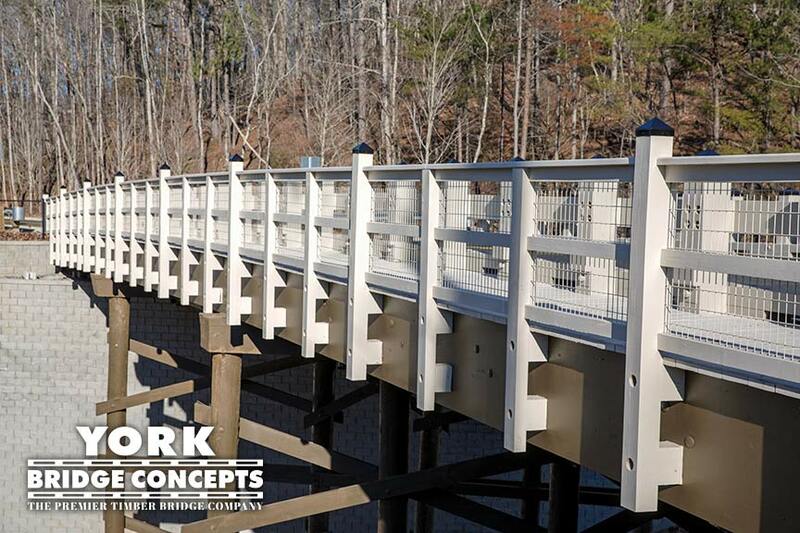 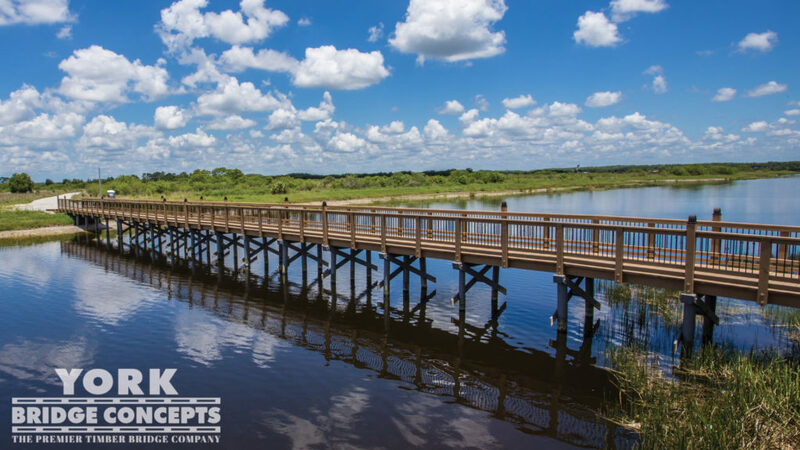 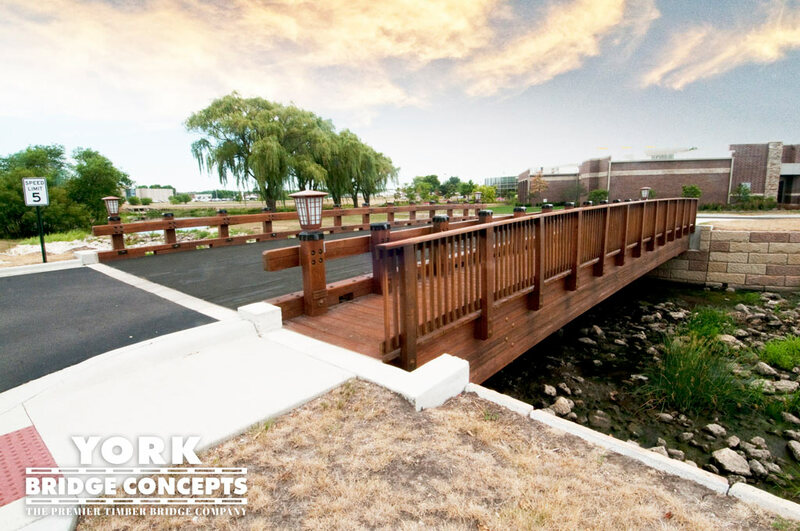 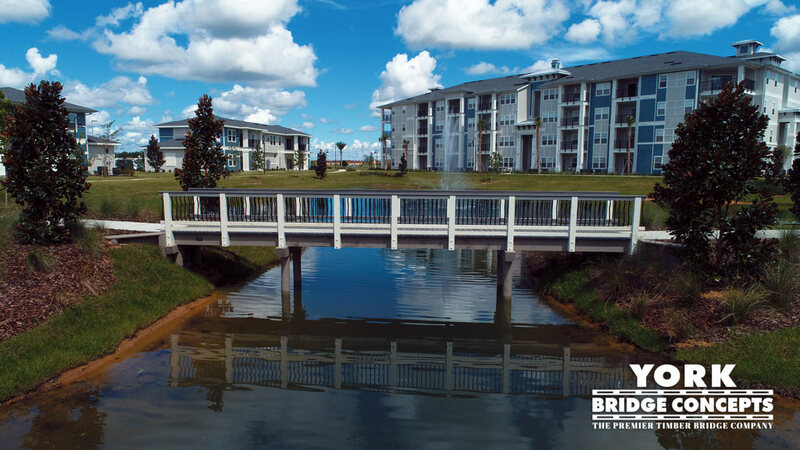 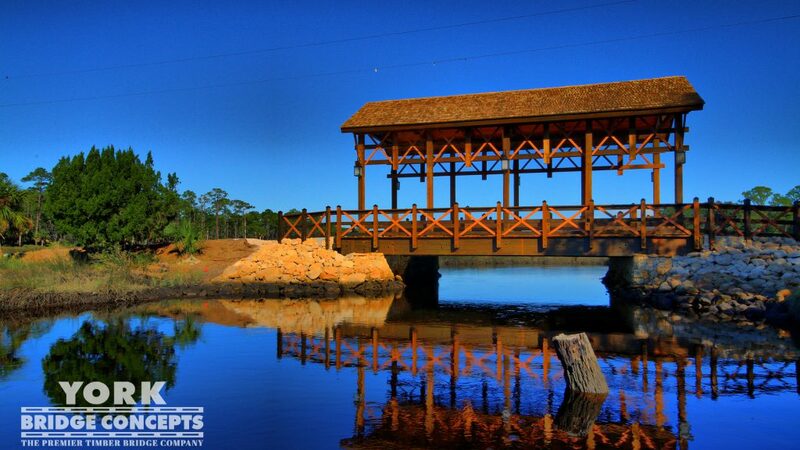 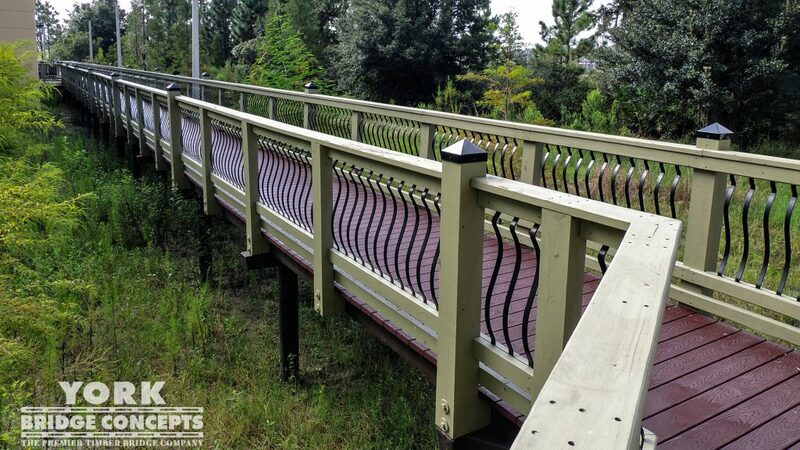 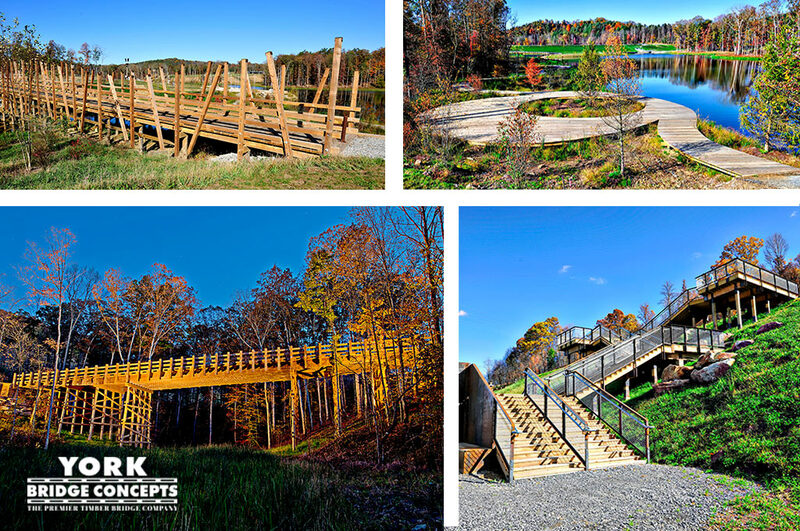 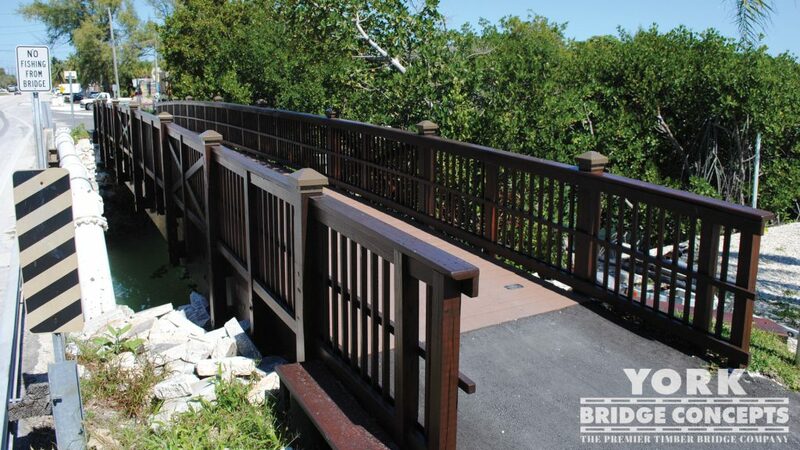 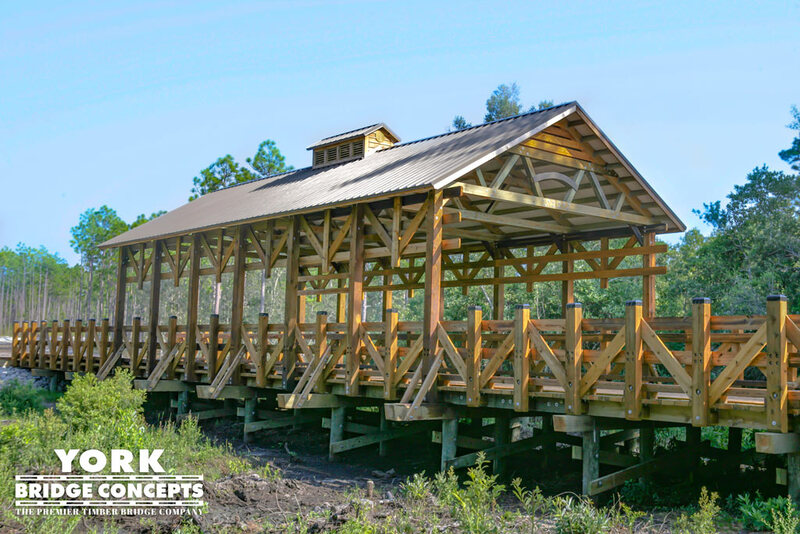 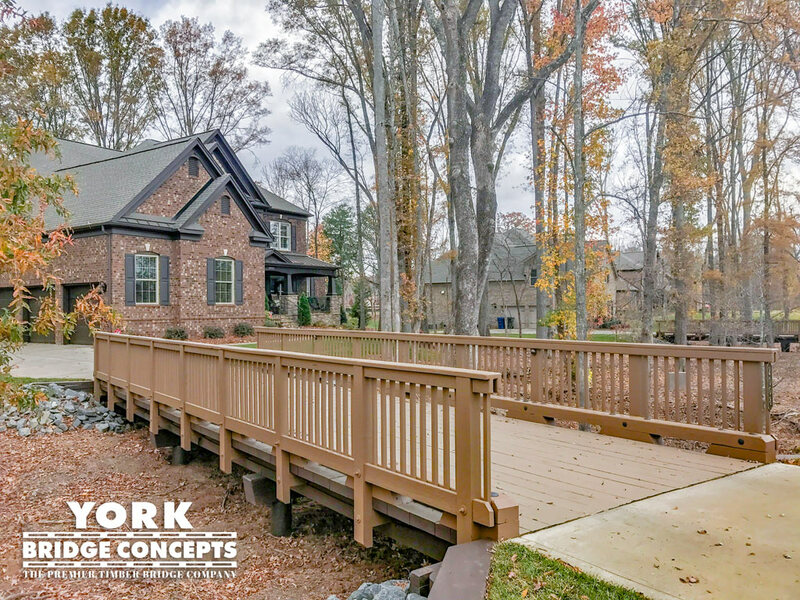 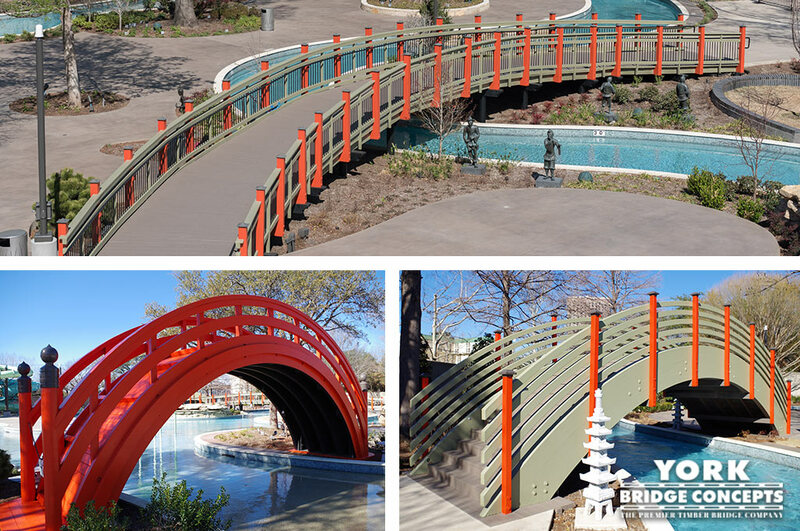 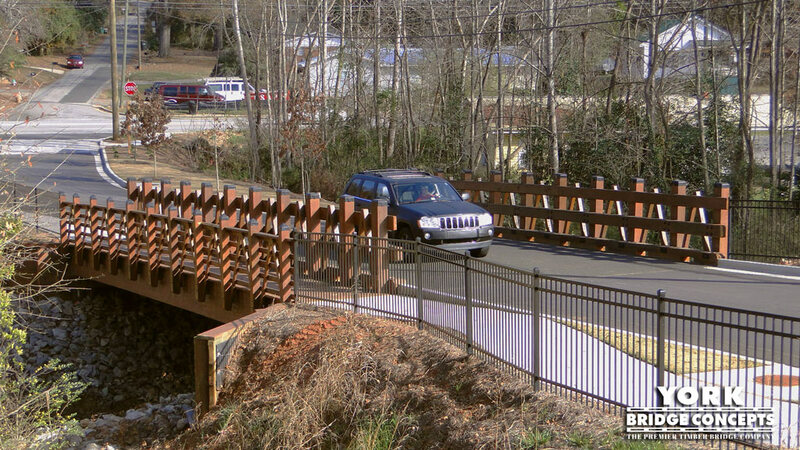 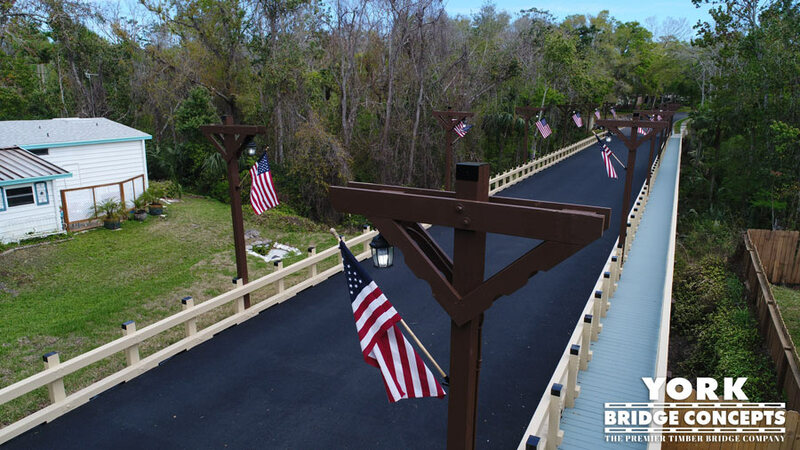 Severed by an expansive creek-flood plain the two developments required an environmentally challenging build, the Decero™ Design Team fashioned a 250 foot multiple span crossing with a striking 80 foot free span to minimize structural and construction impacts within the wetlands. 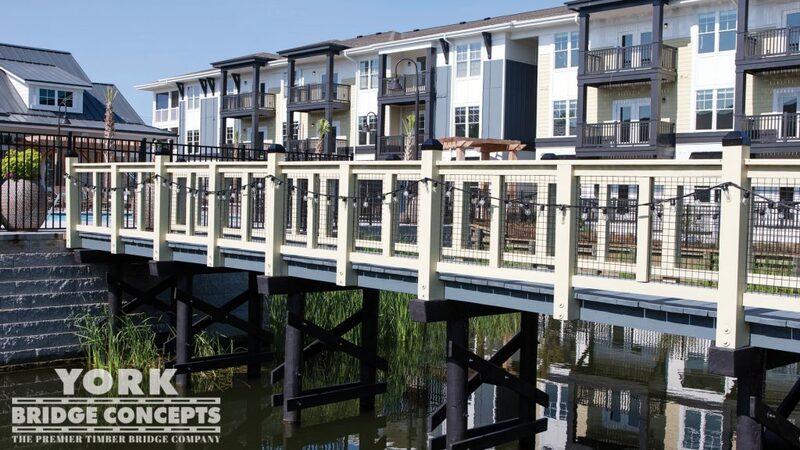 A gorgeous tapered profile rolls effortlessly across the landscape connecting convenience with a graceful aesthetic dressed in a rich earth-toned palette. 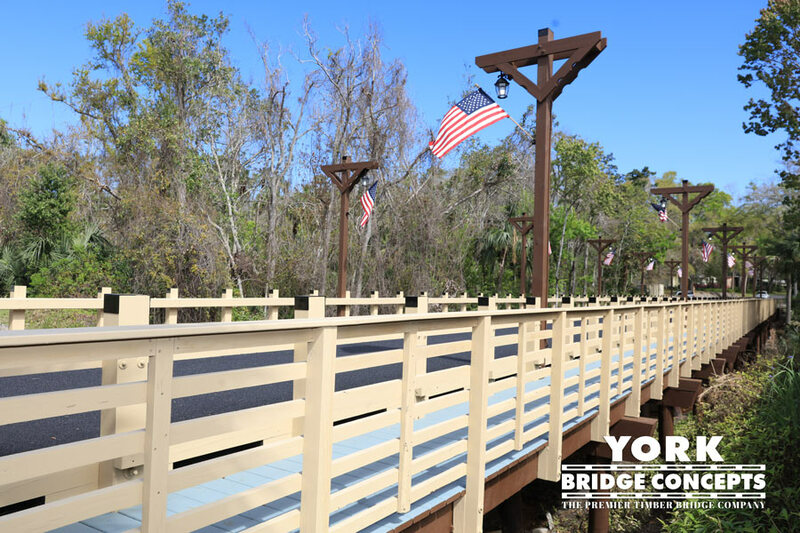 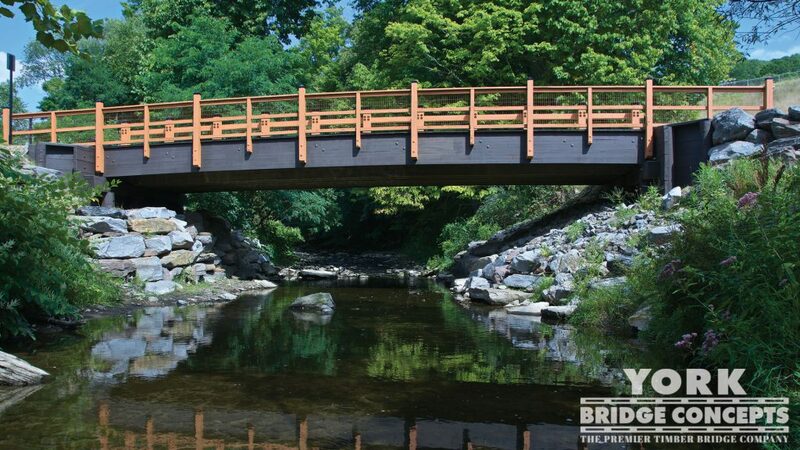 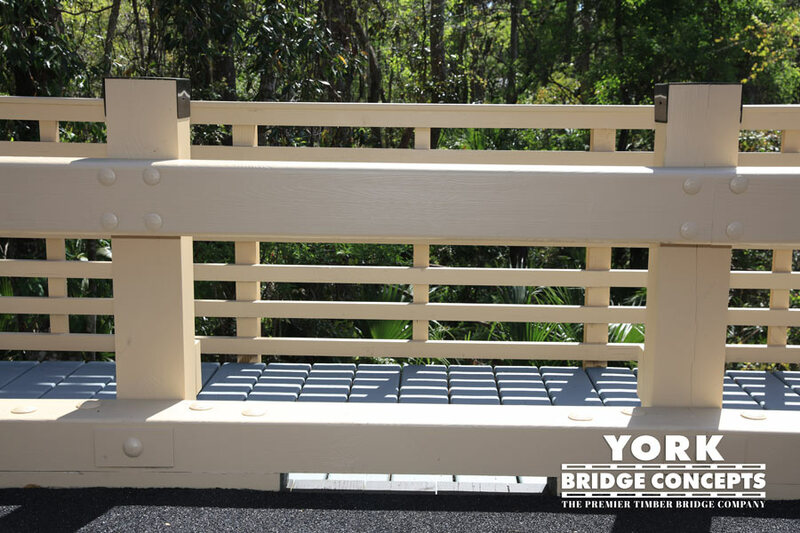 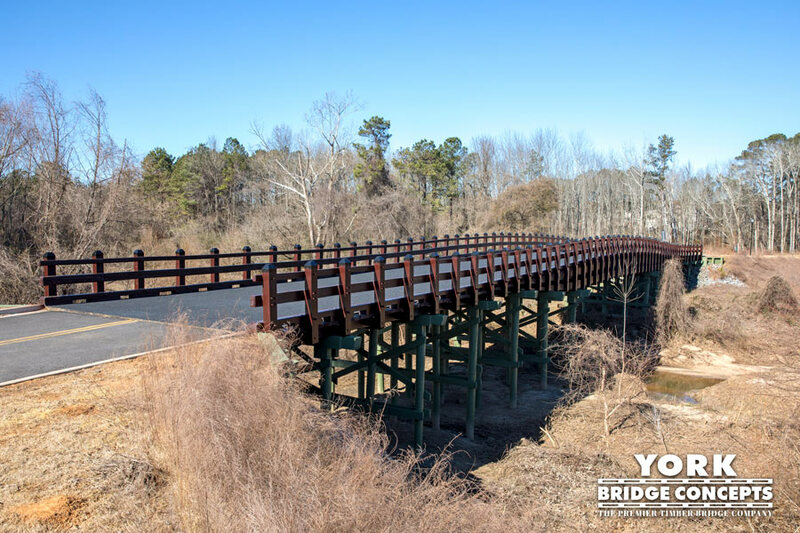 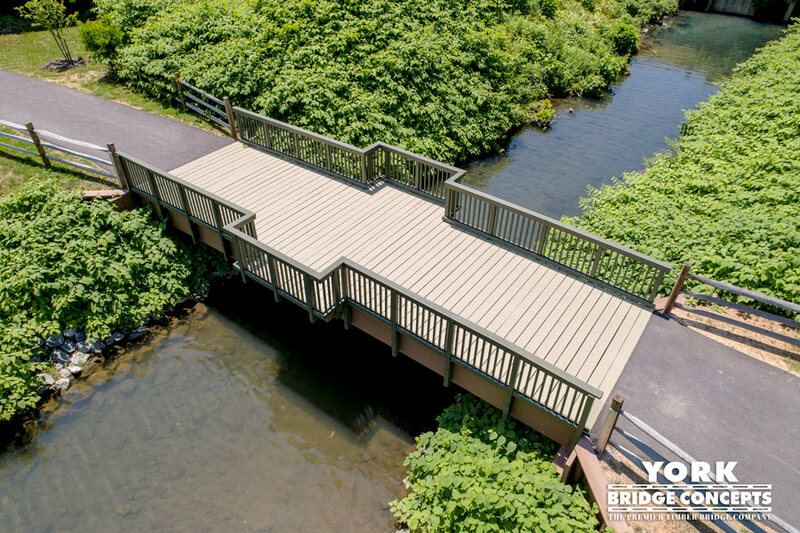 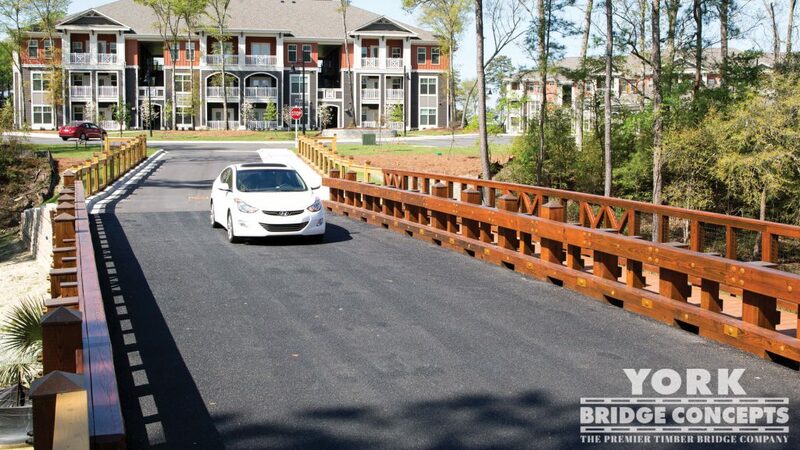 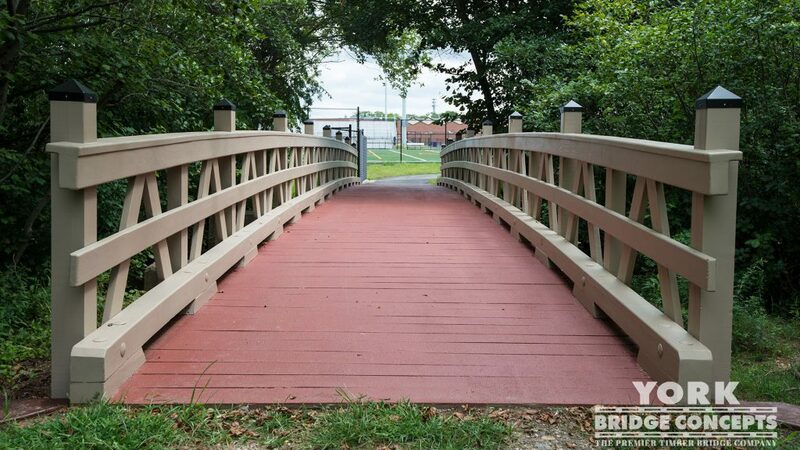 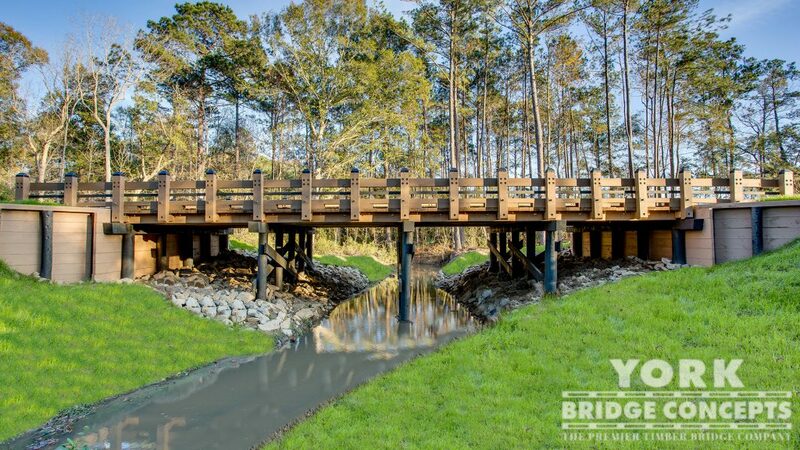 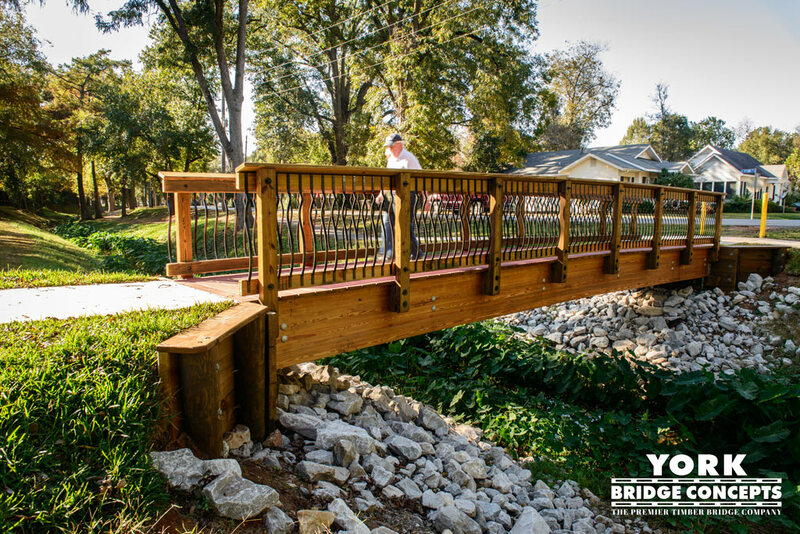 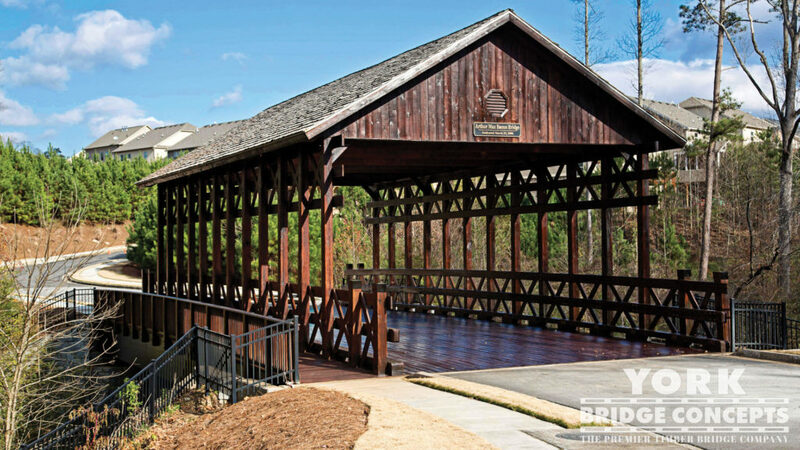 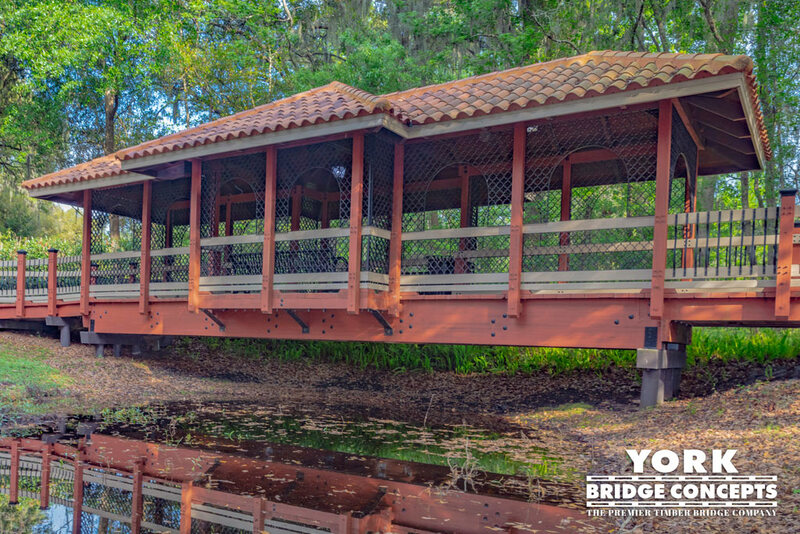 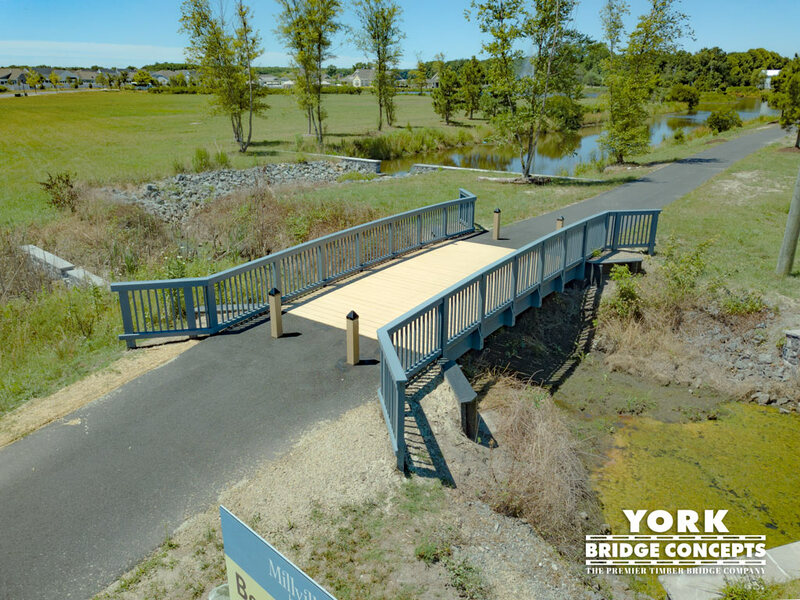 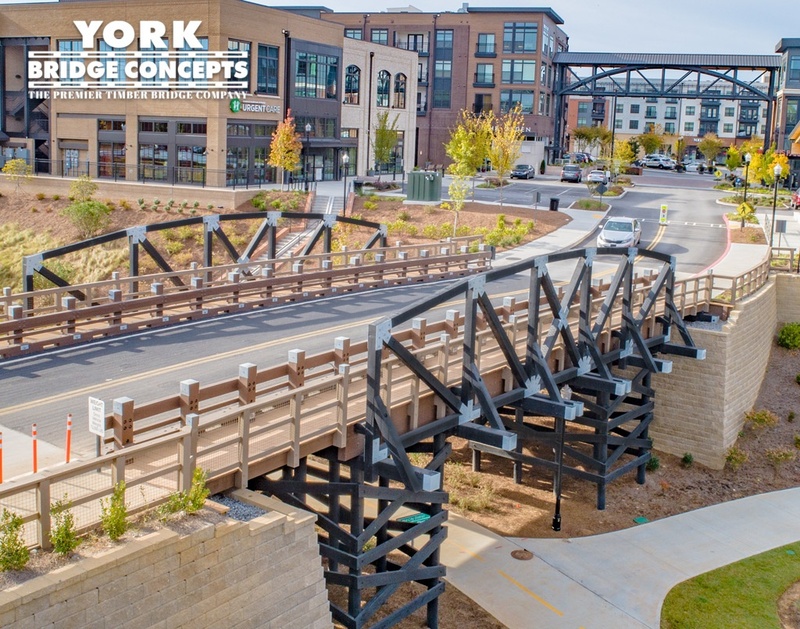 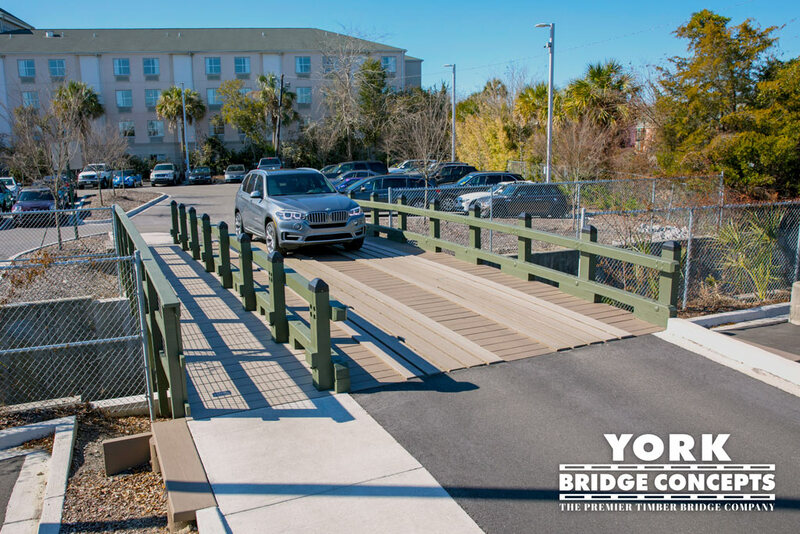 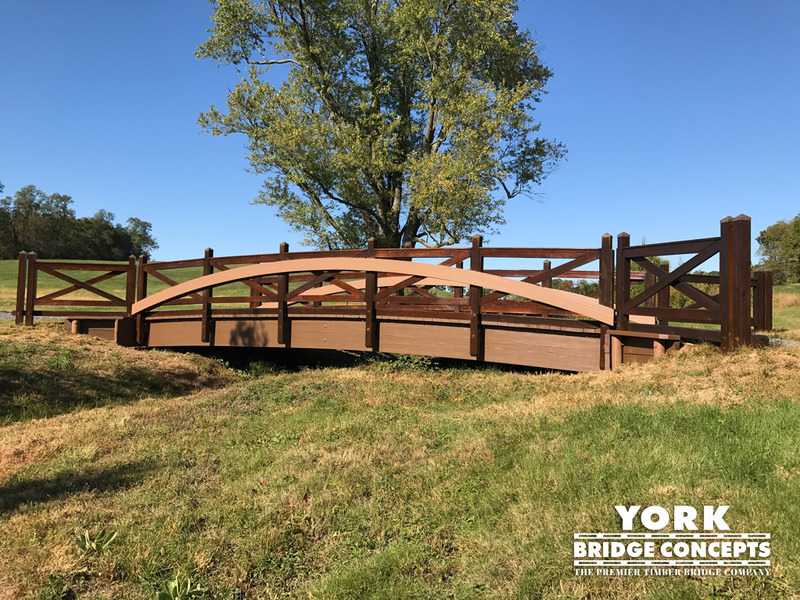 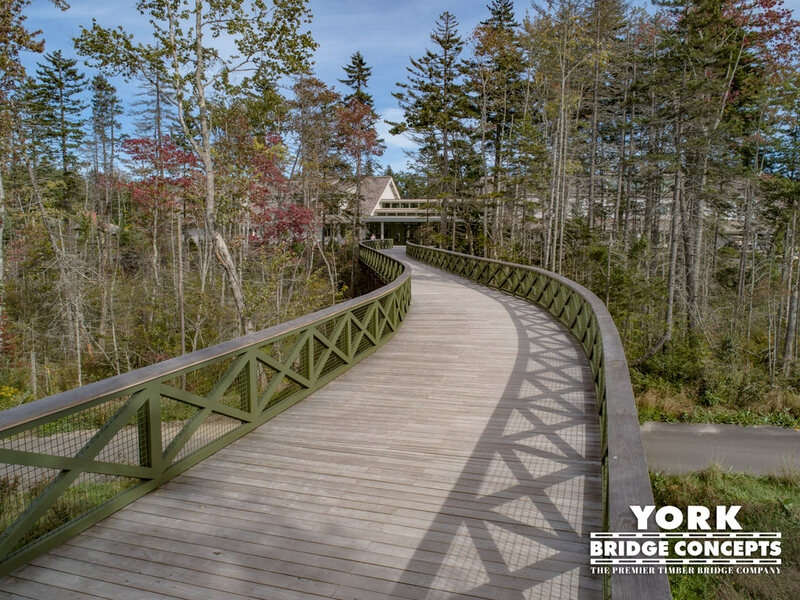 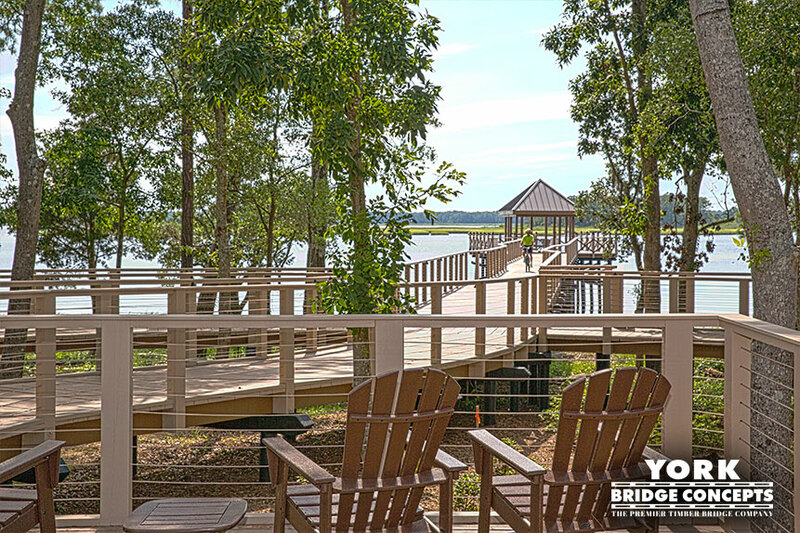 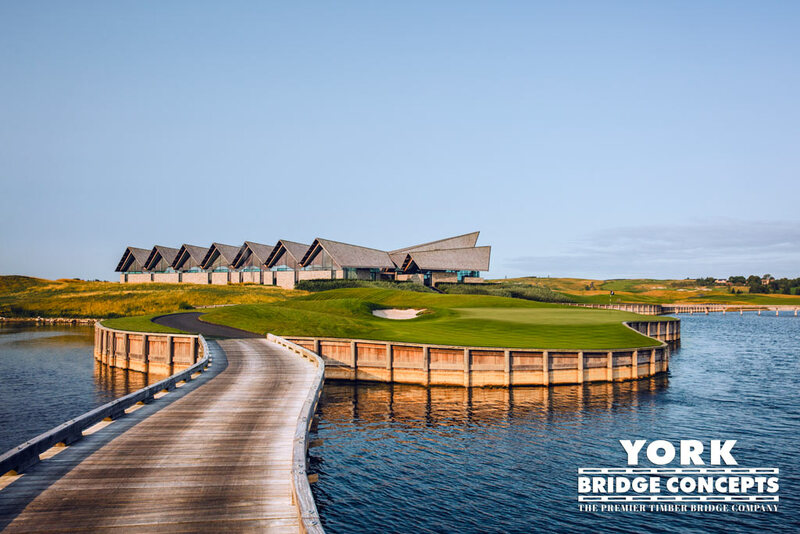 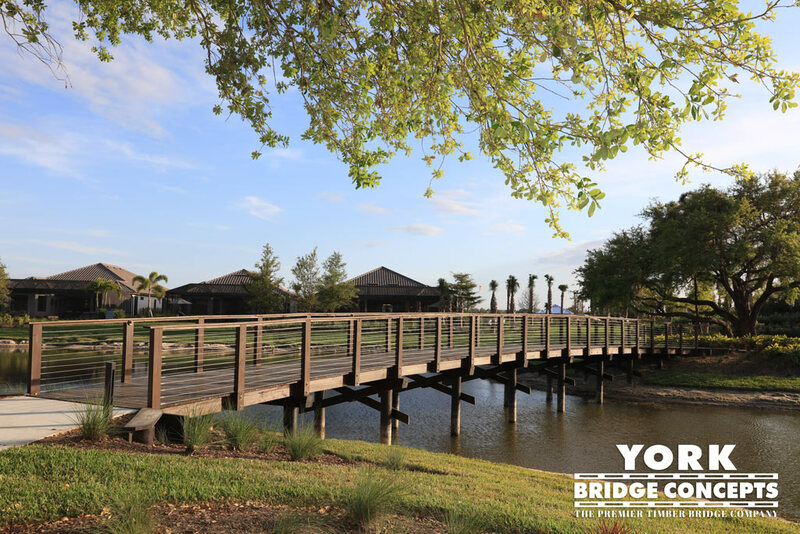 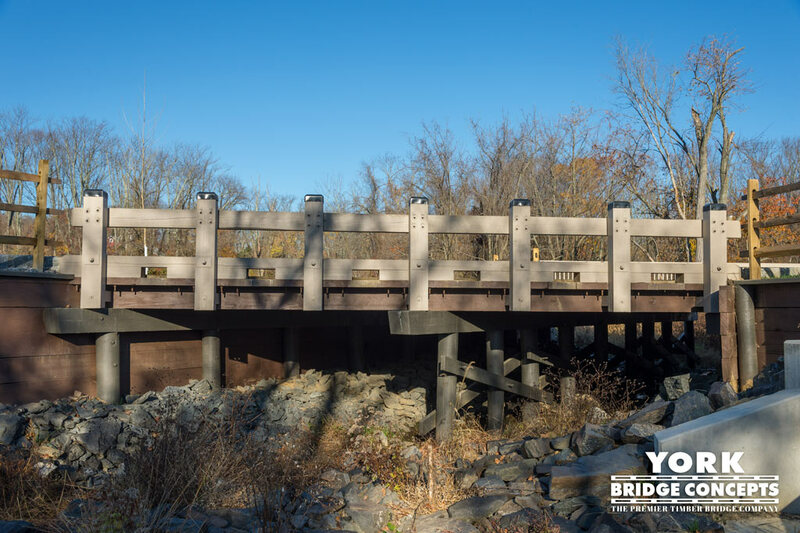 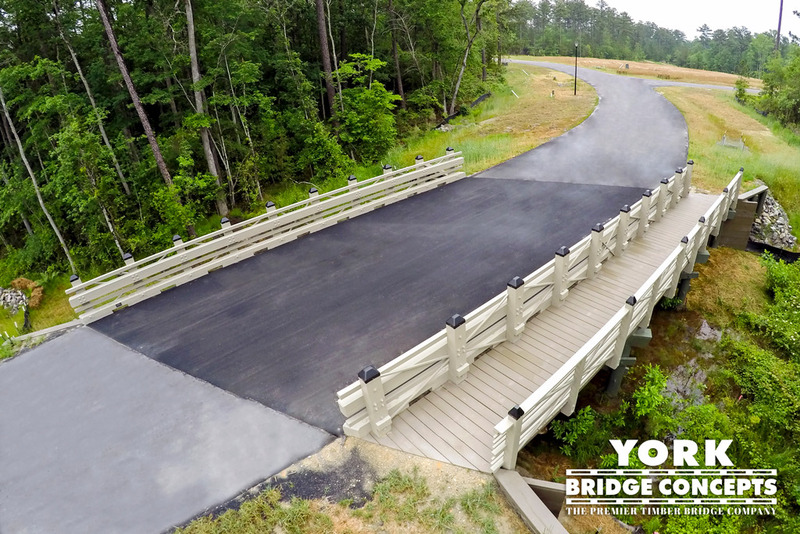 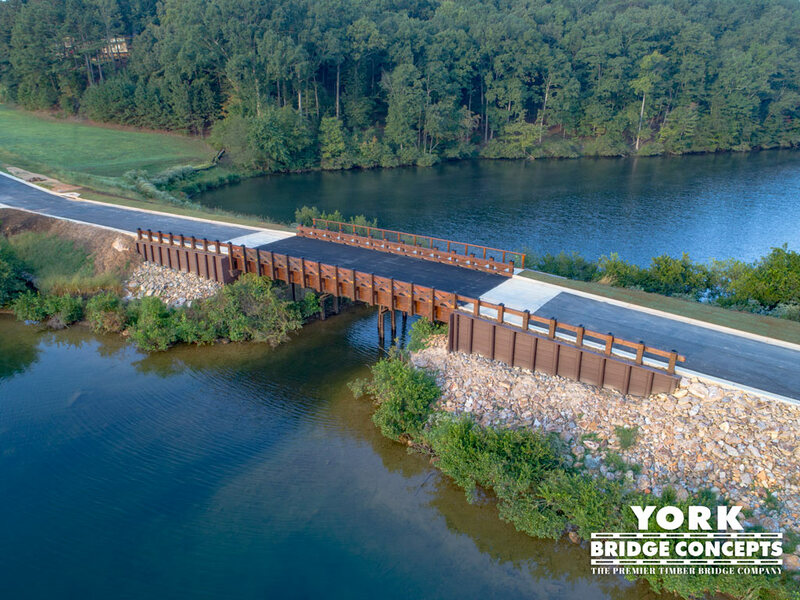 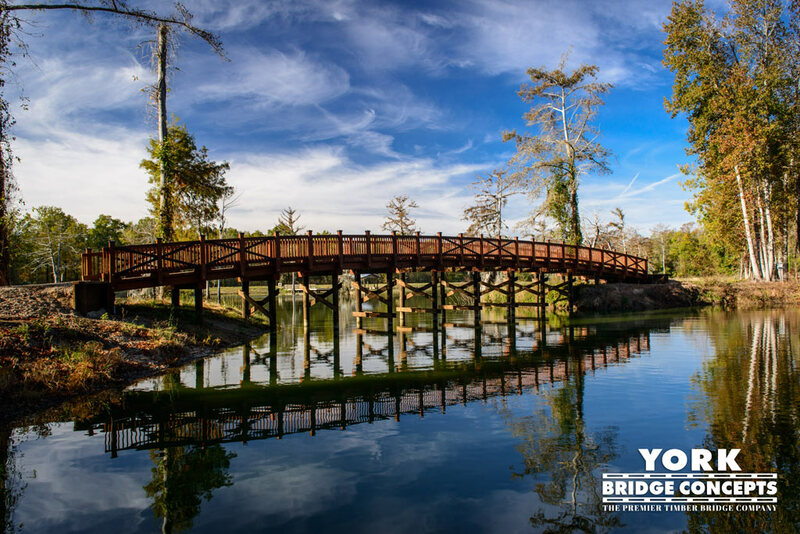 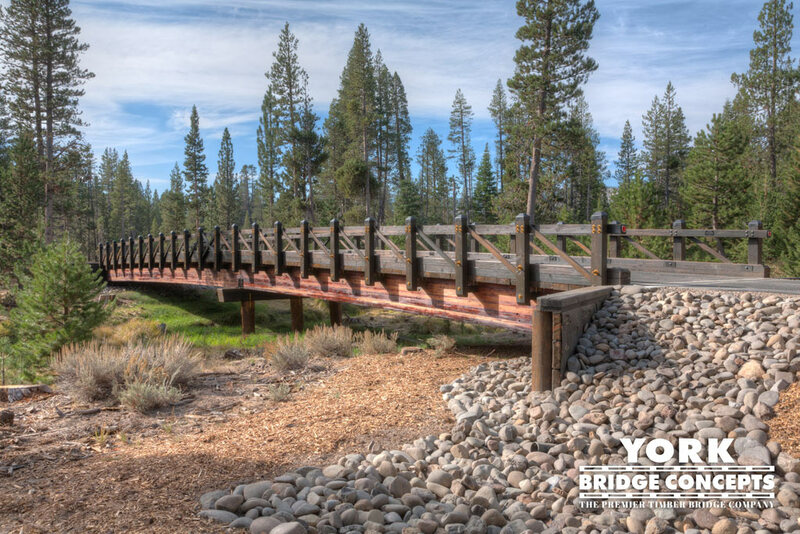 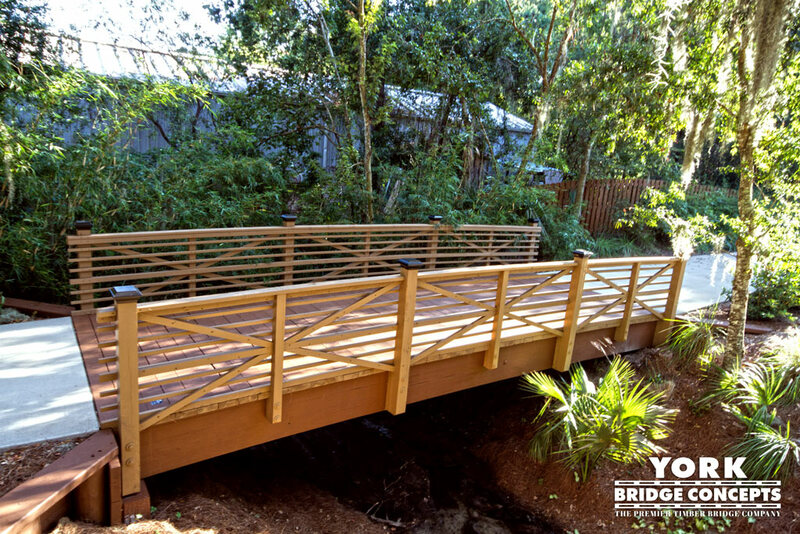 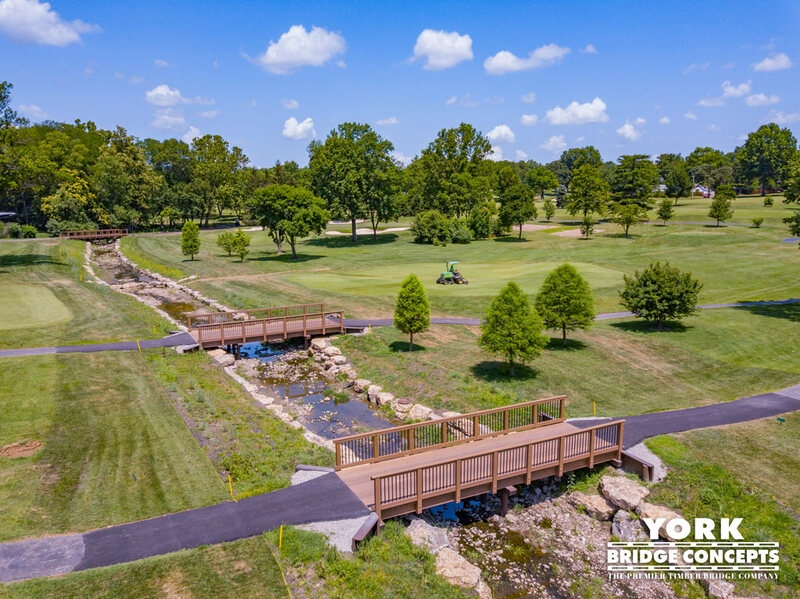 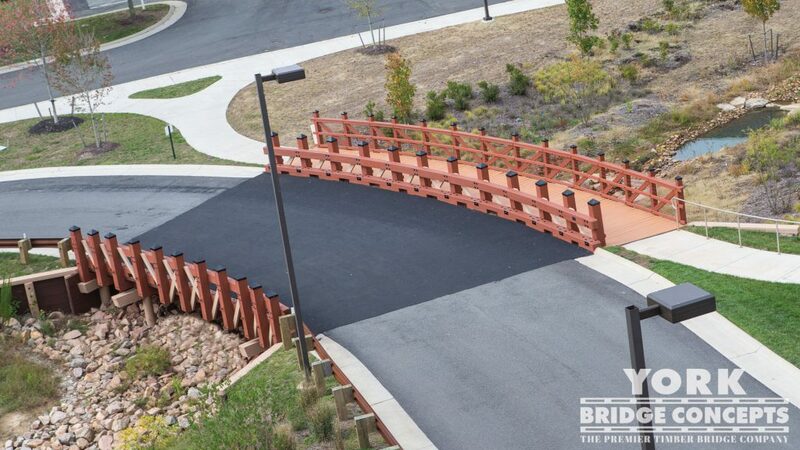 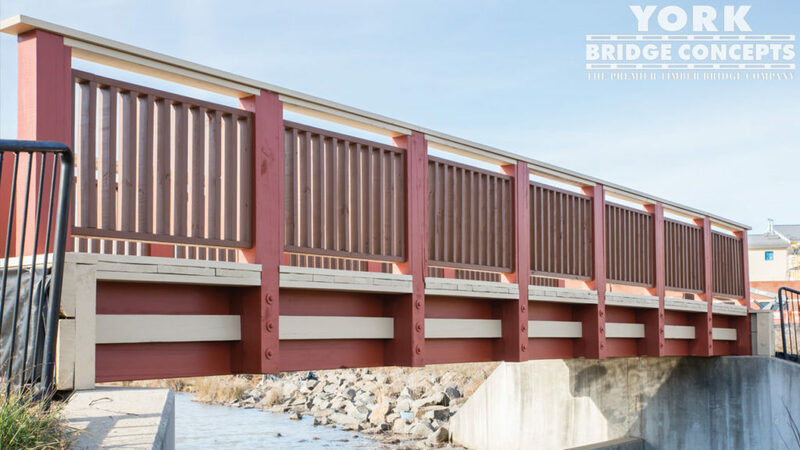 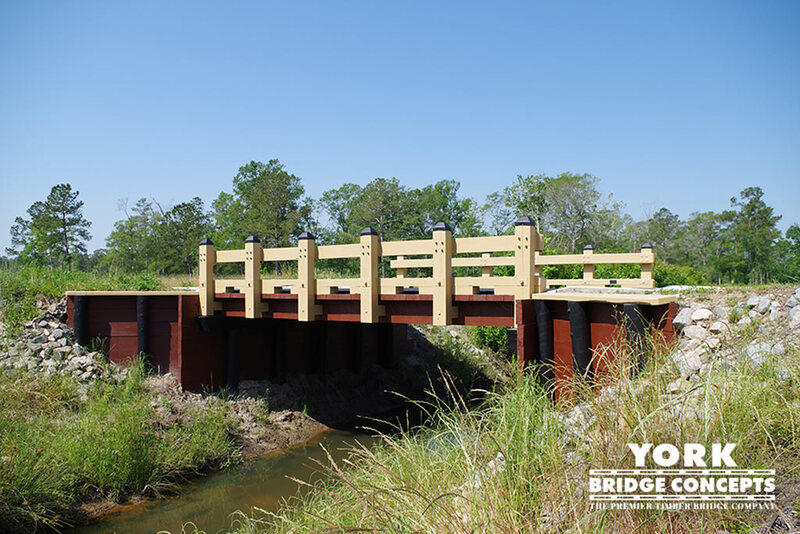 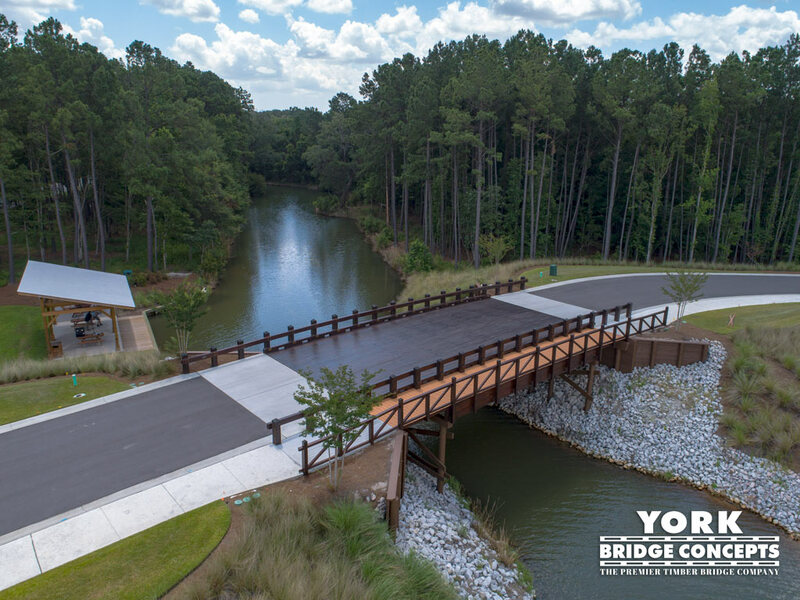 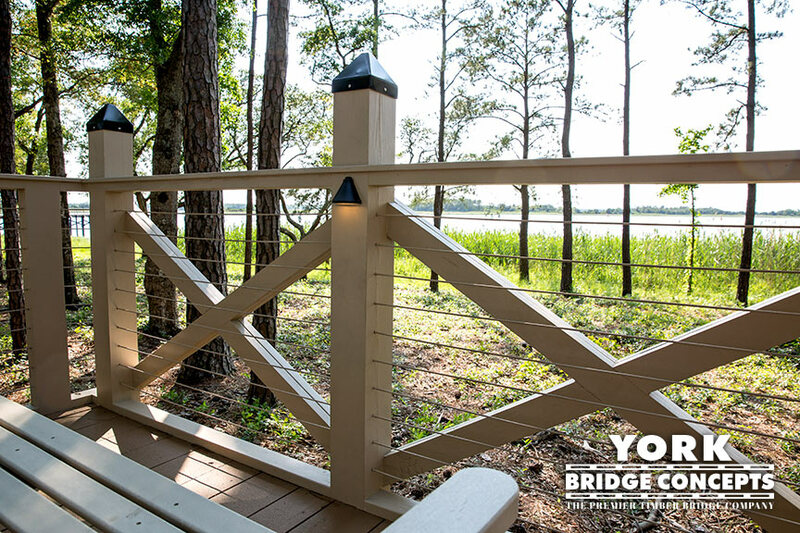 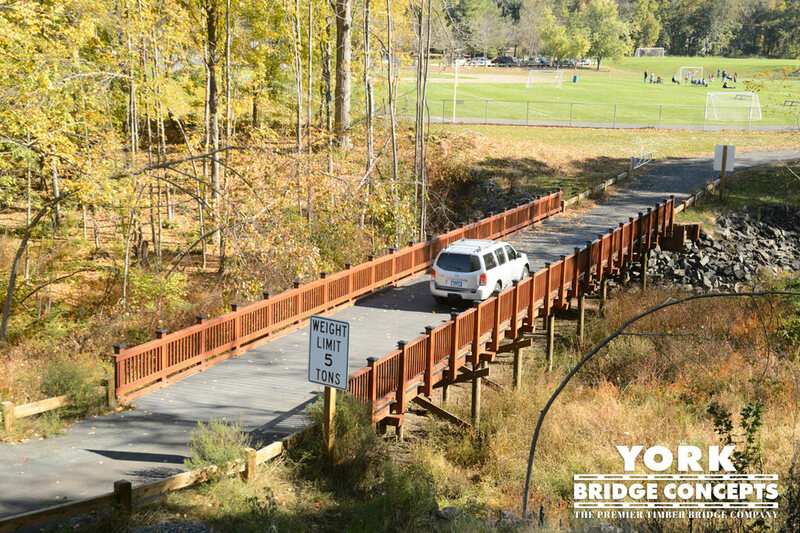 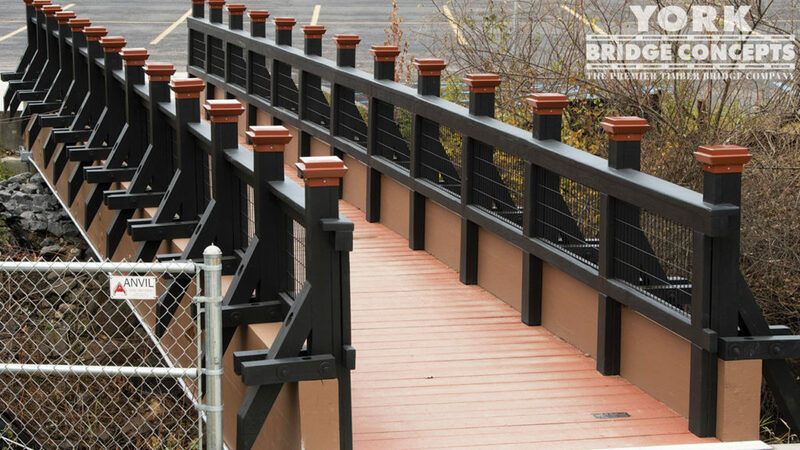 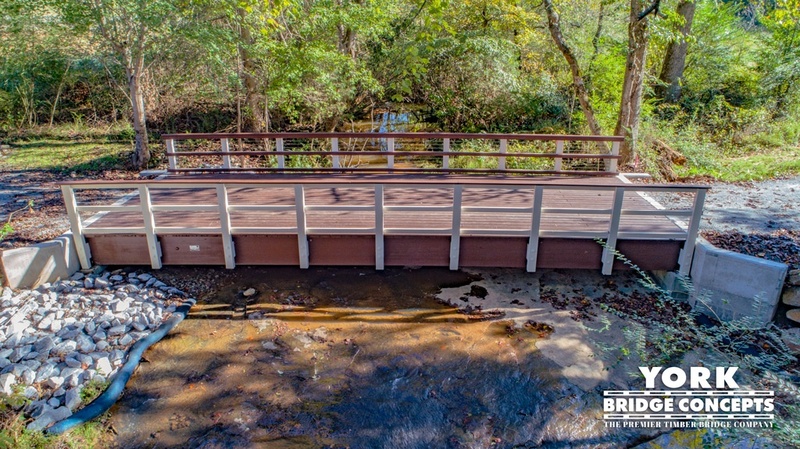 Despite several challenges the YBC turn-key approach and years of timber expertise made Town Village’s legacy bridge a reality.